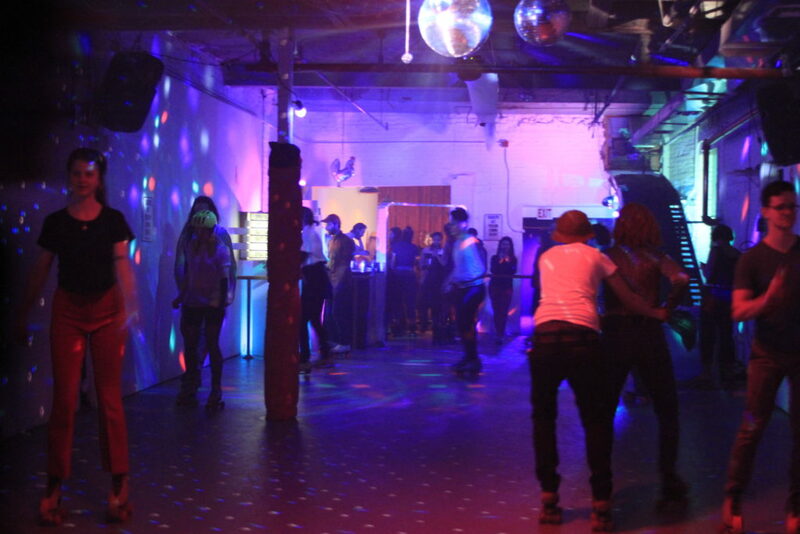 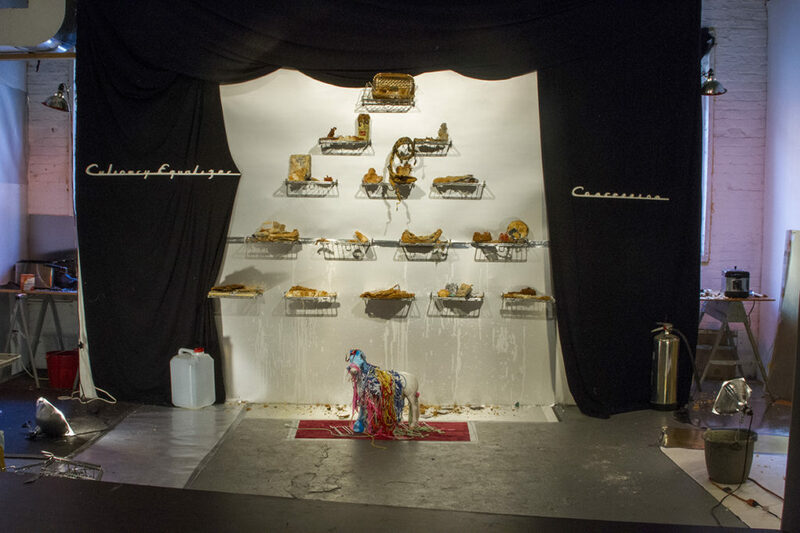 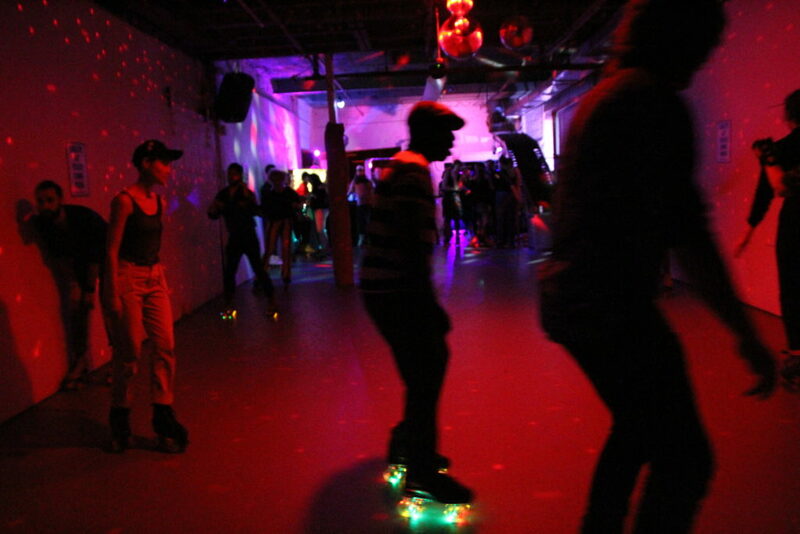 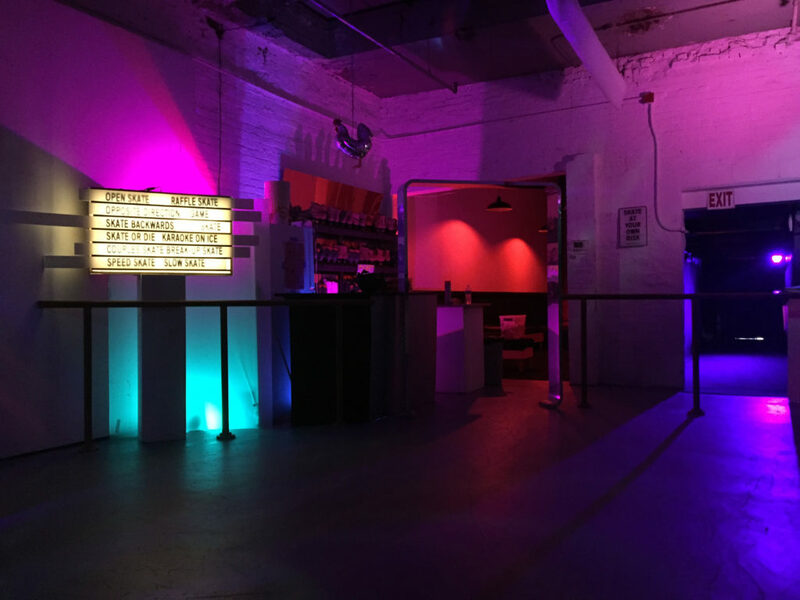 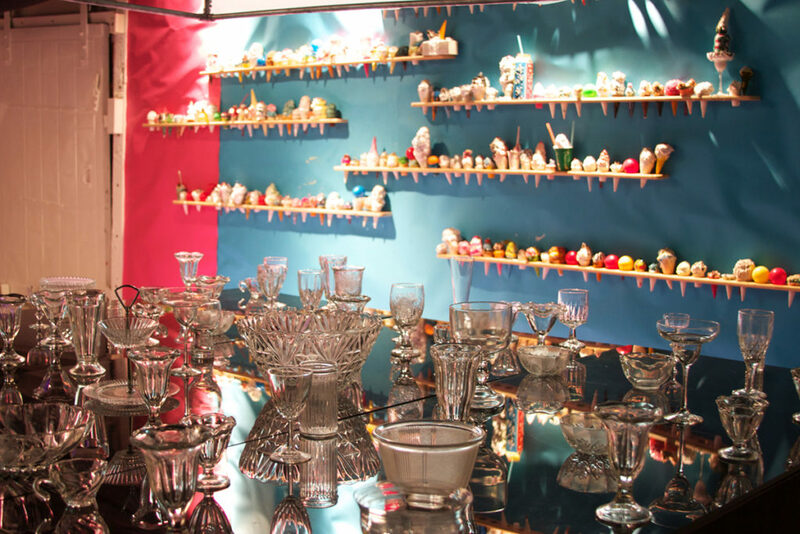 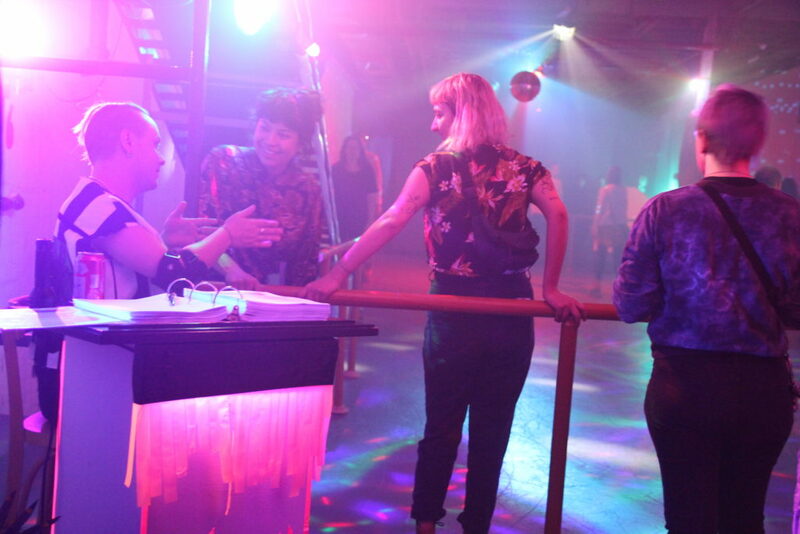 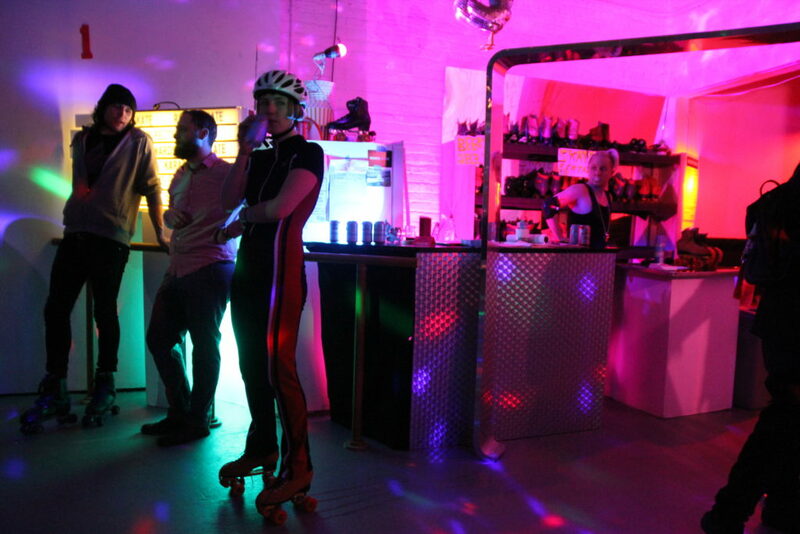 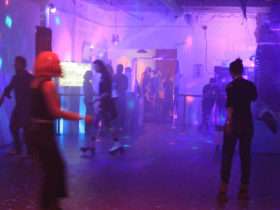 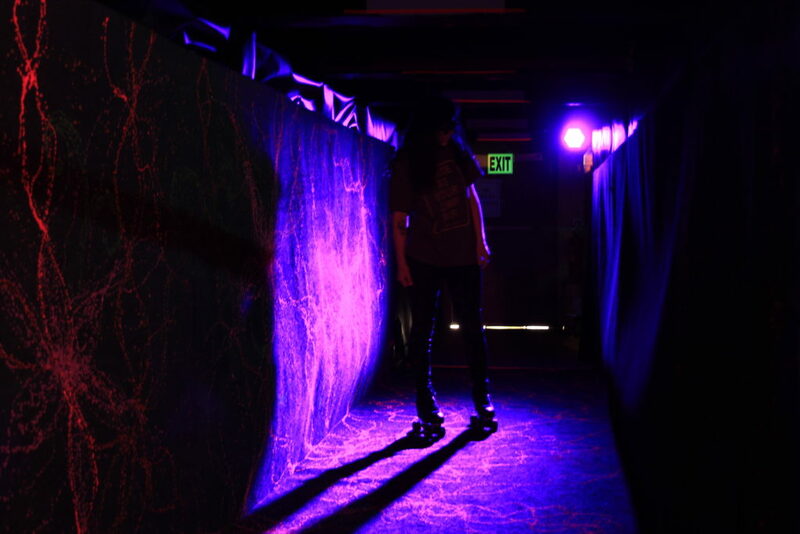 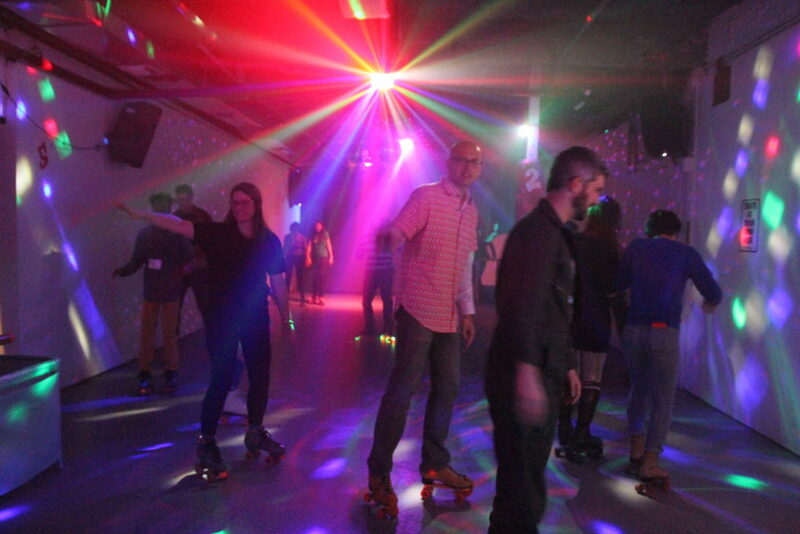 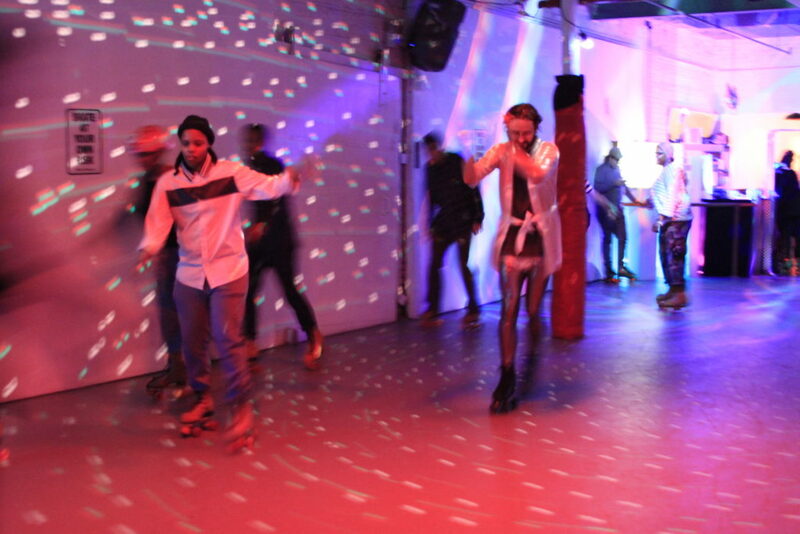 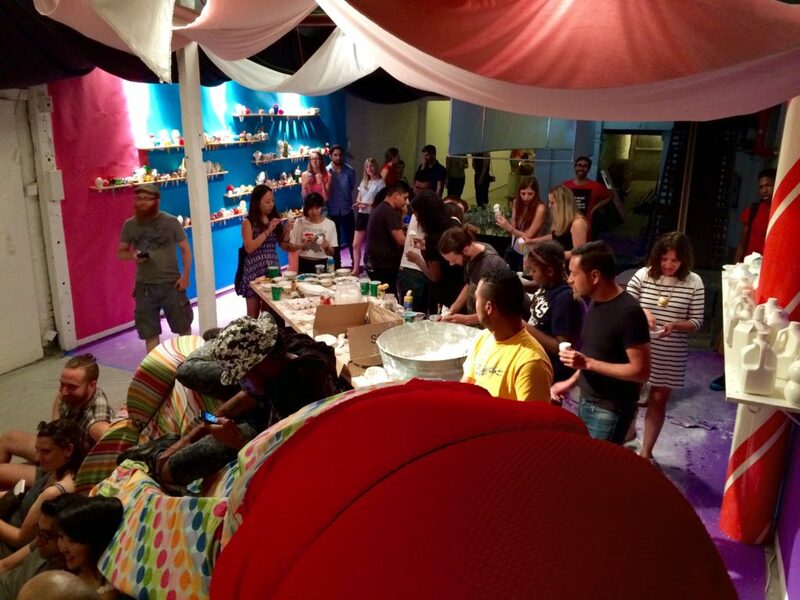 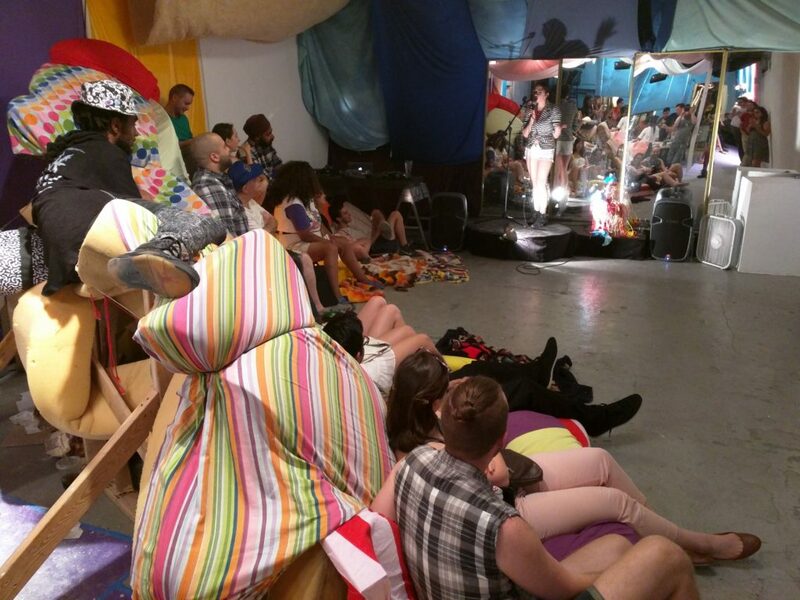 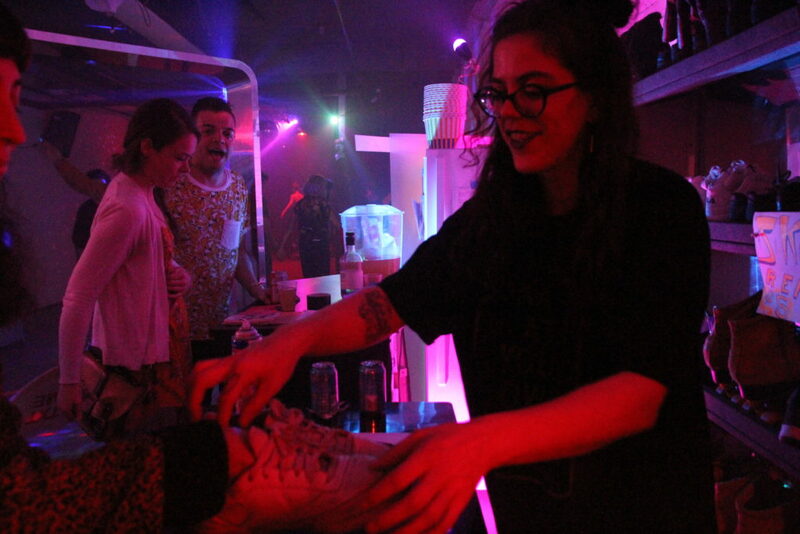 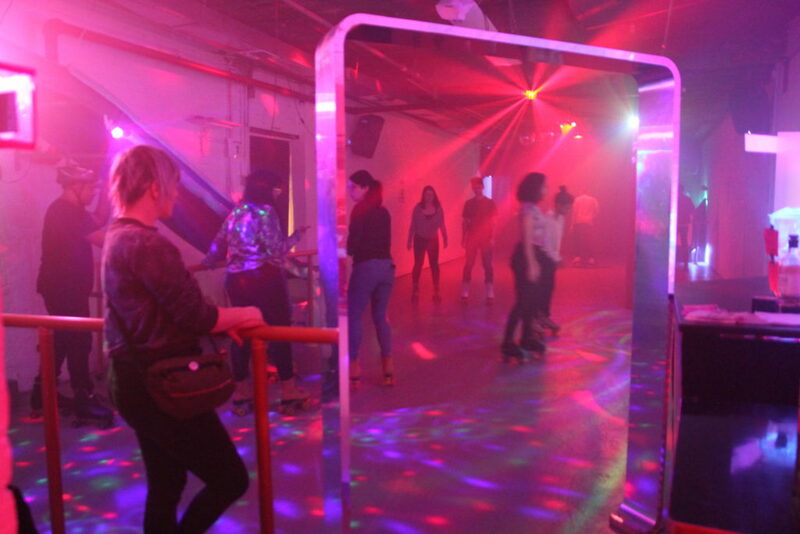 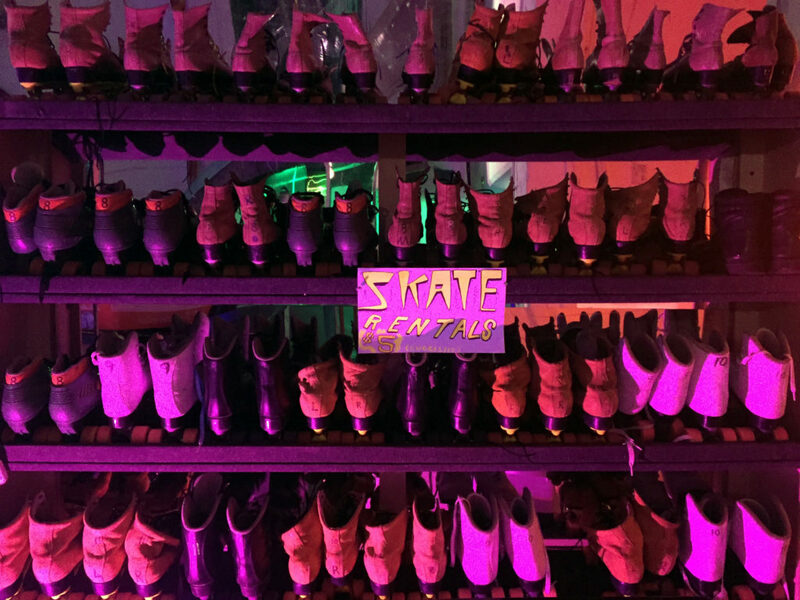 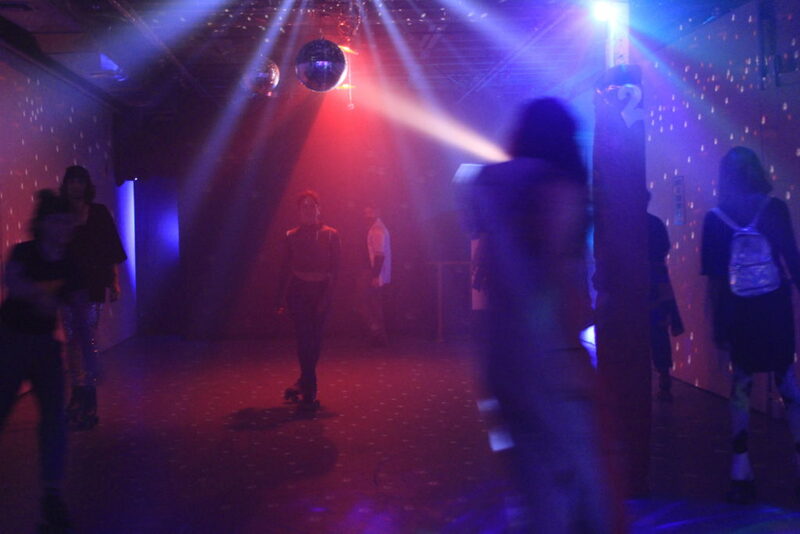 Rinkworm, a week-long pop-up roller rink installation at Flux Factory. 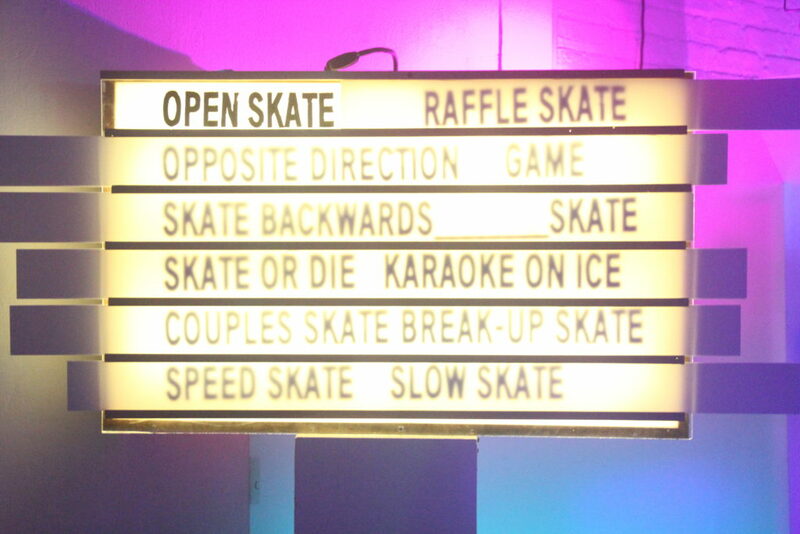 The program included daily open skating with in-house DJ’s, a ‘skate-in’ movie screening of Rollerball (1975), Flux Thursday potluck and couples skate with MC Vinyl Richie, Valentine candy lollipop casting, a night of performance art featuring Seth Timothy Larson and Abigail Entsminger, MOM, and Joseph Keckler, a late-night roller disco with DJ’s PlayPlay and Sponsored Lynx, live music with Ben Seretan, Karaoke on Ice, and themed skates and raffles. 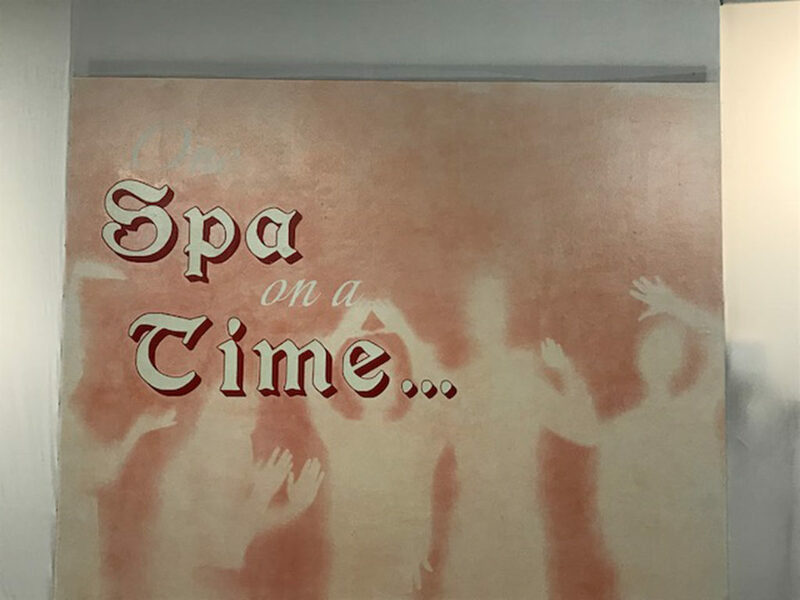 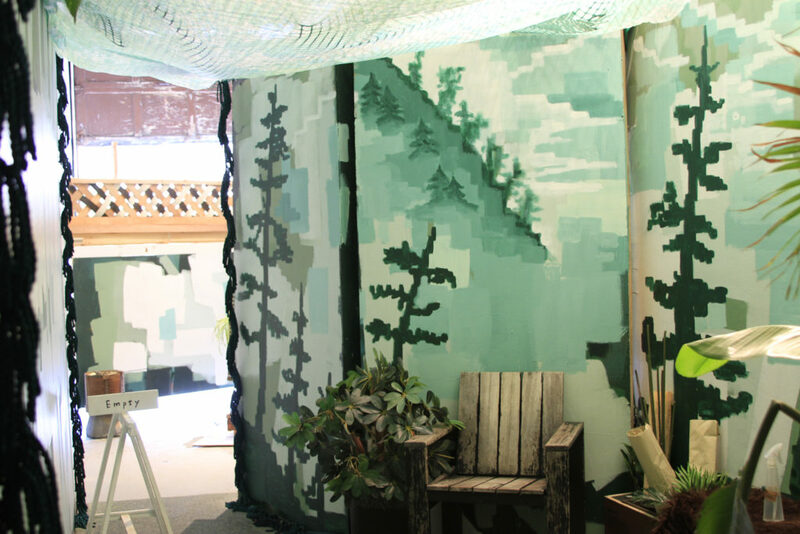 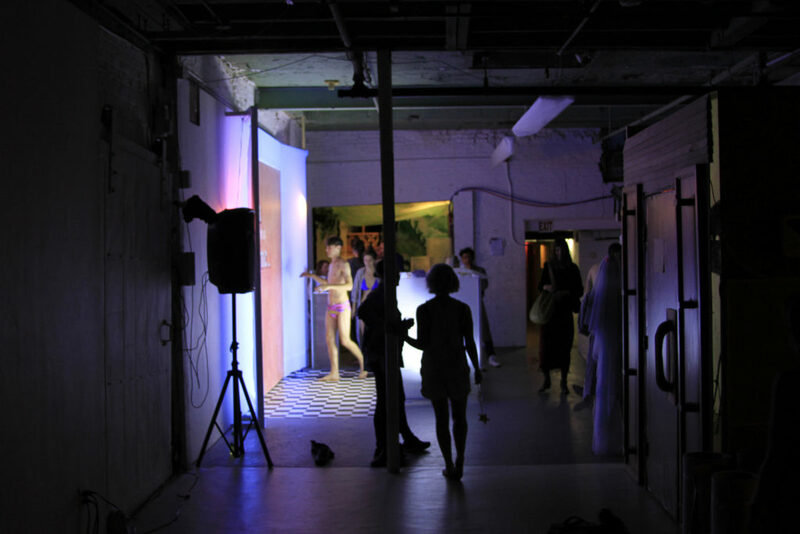 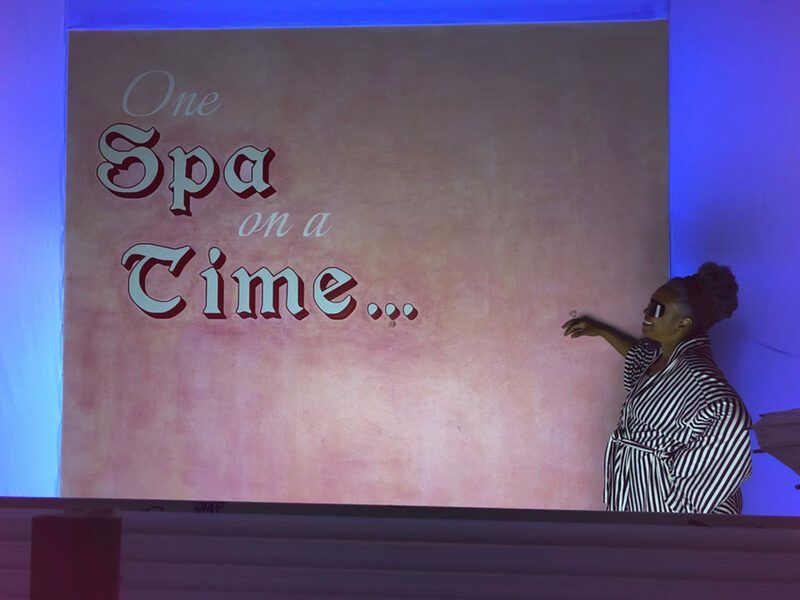 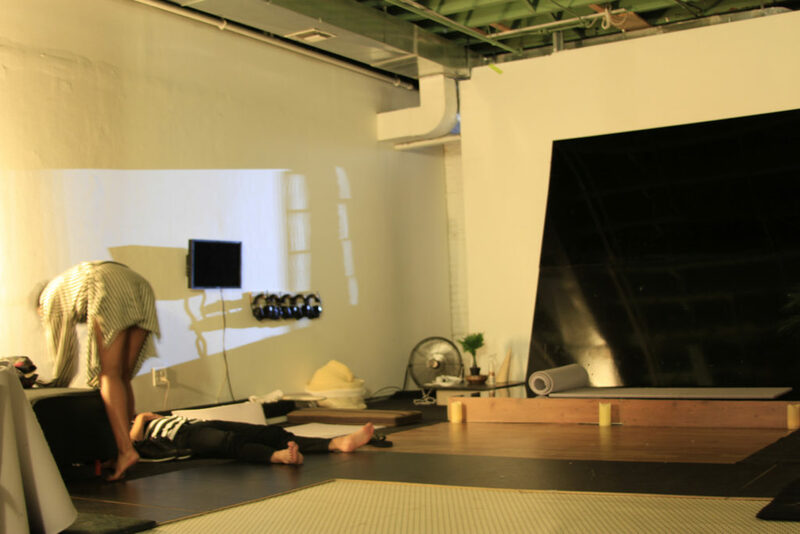 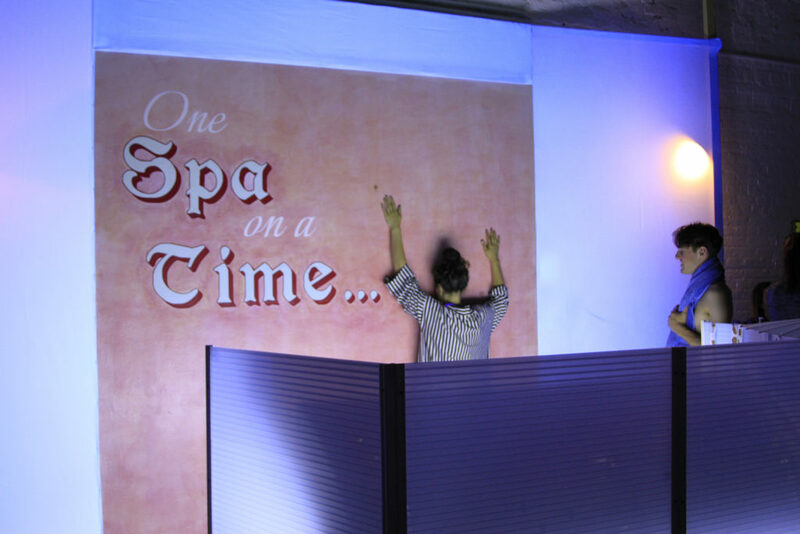 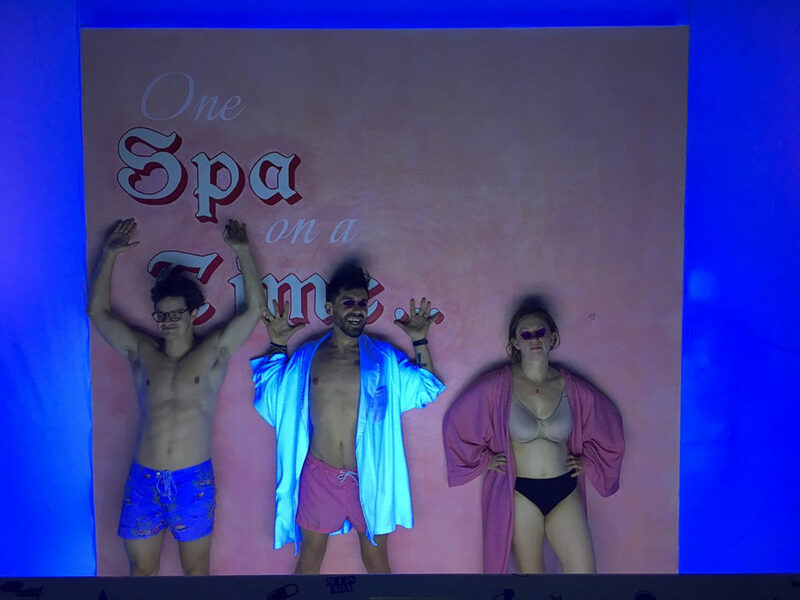 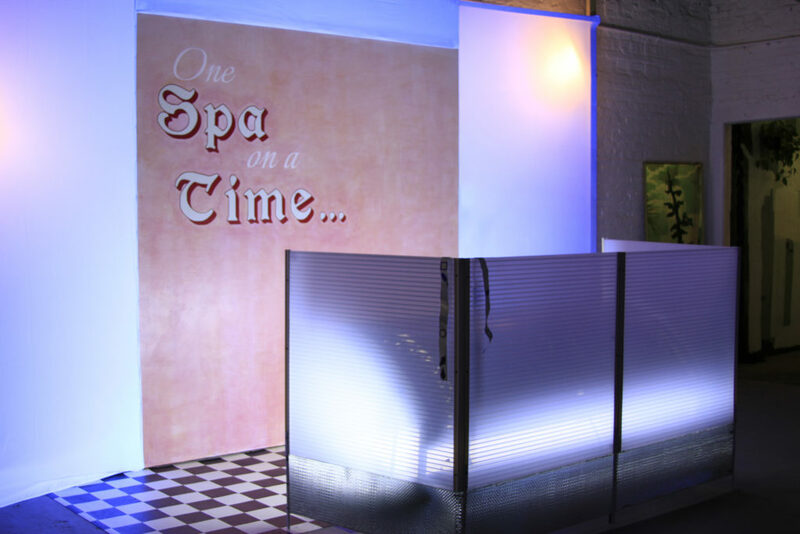 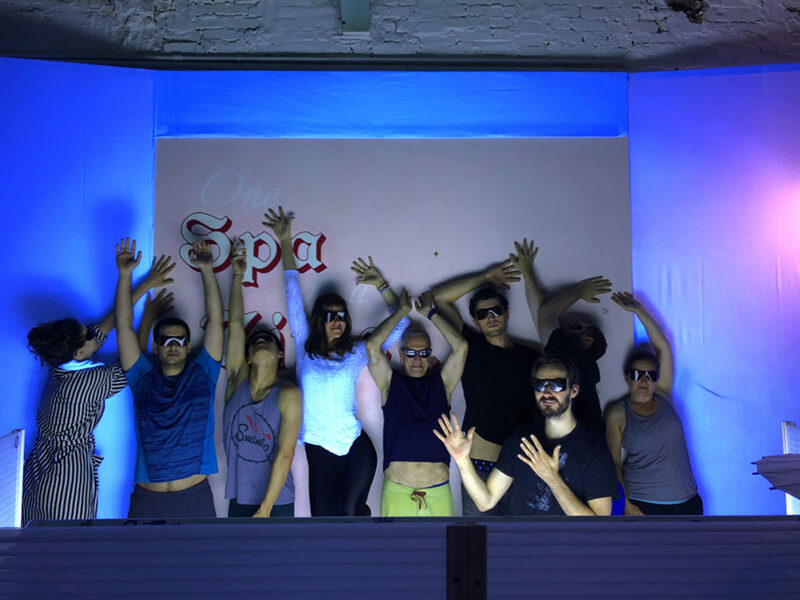 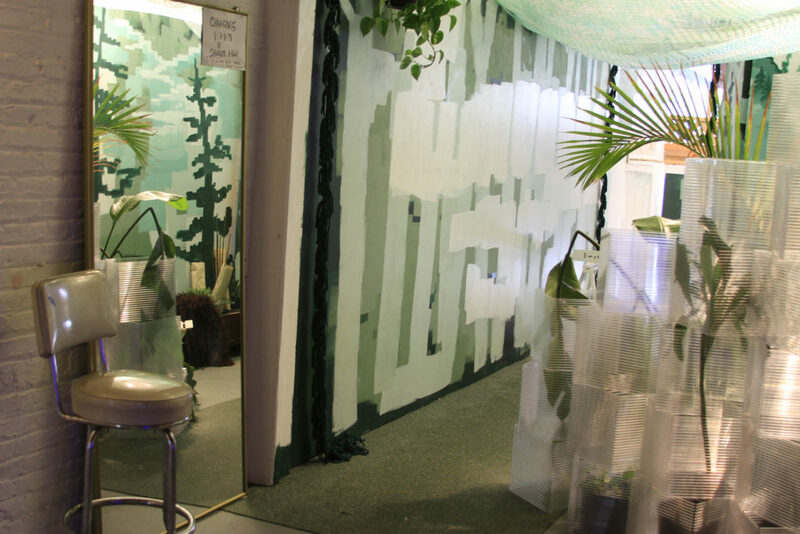 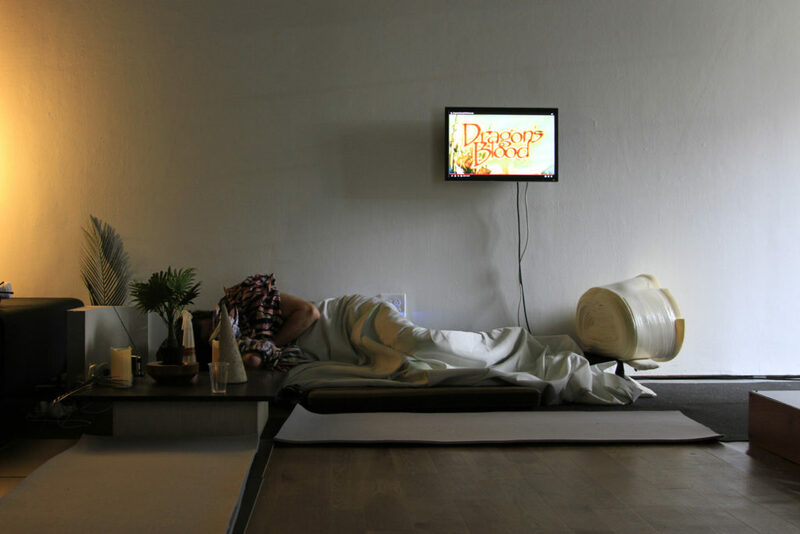 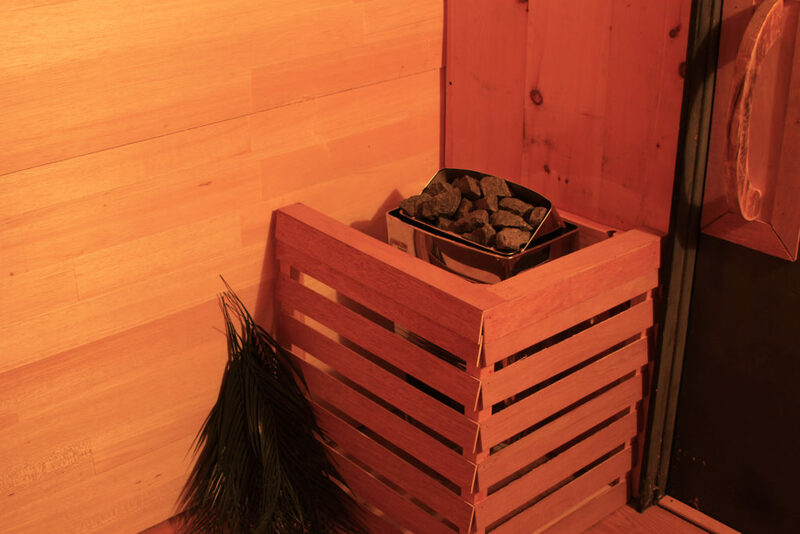 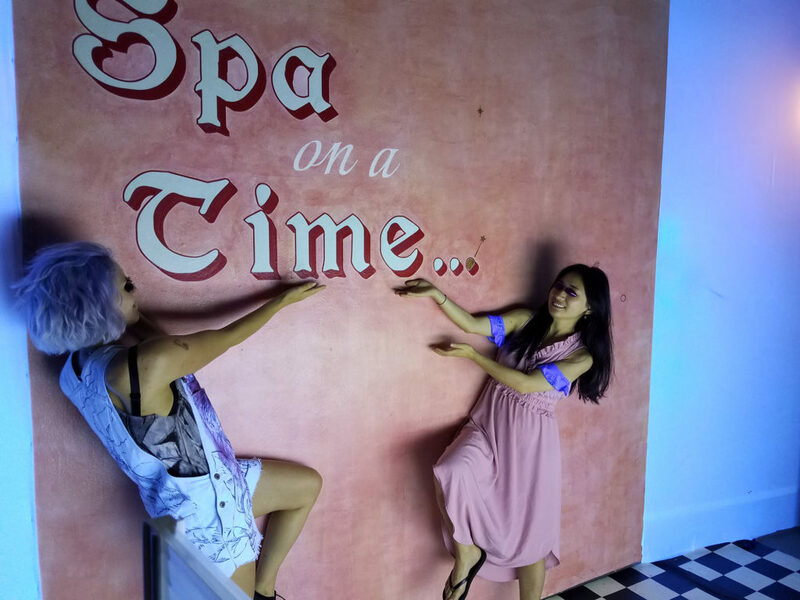 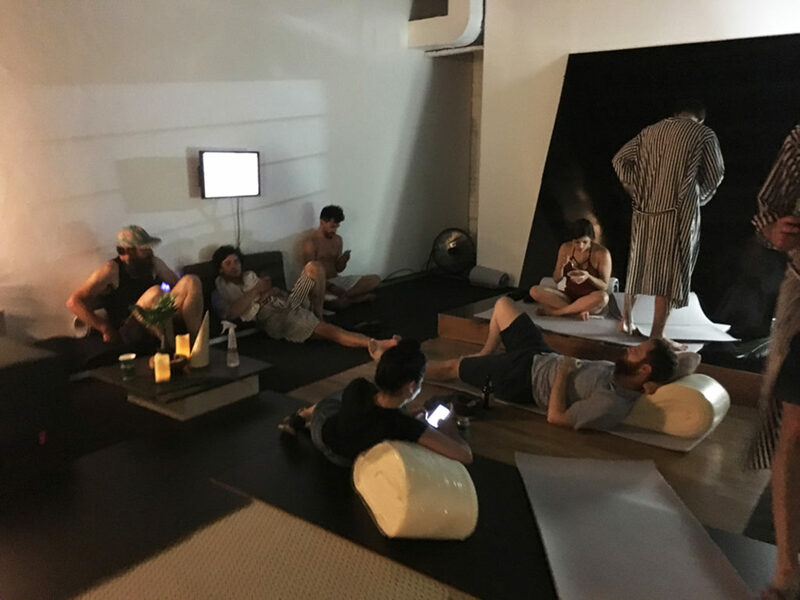 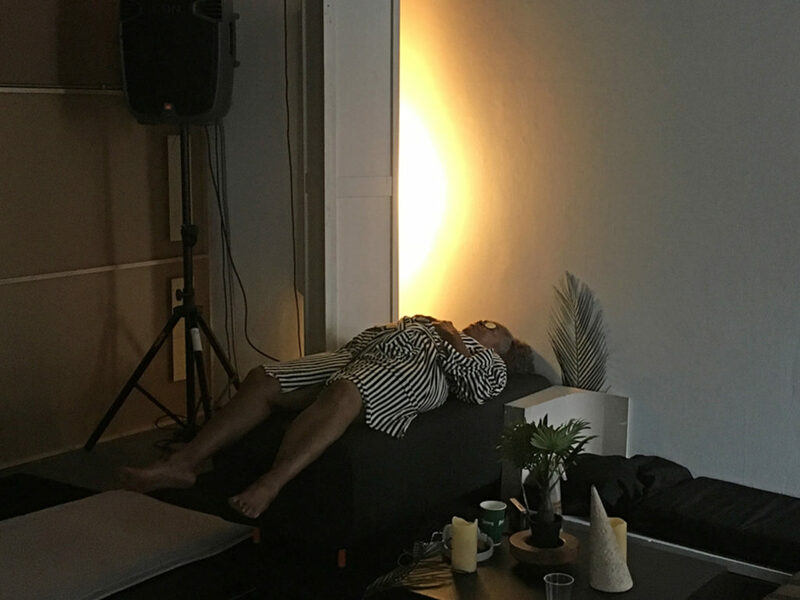 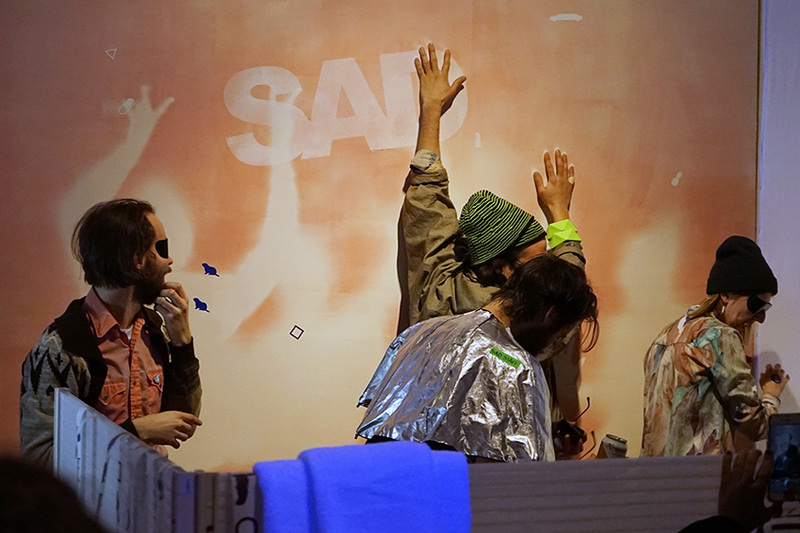 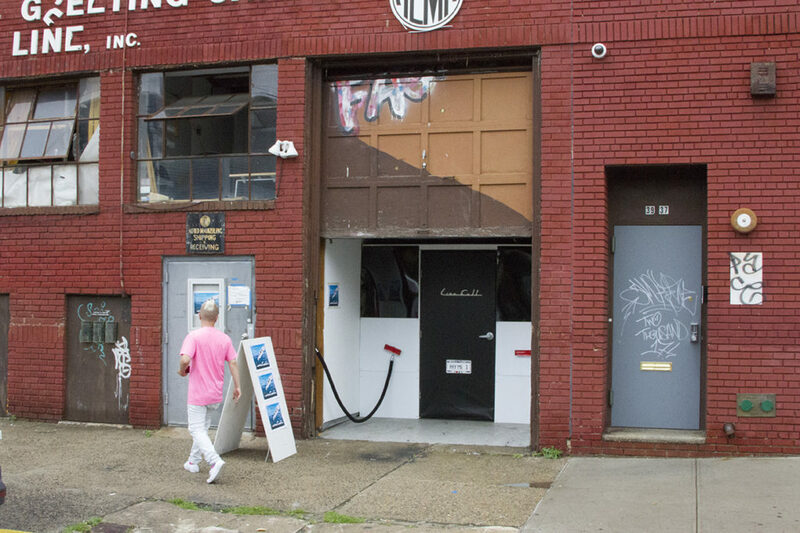 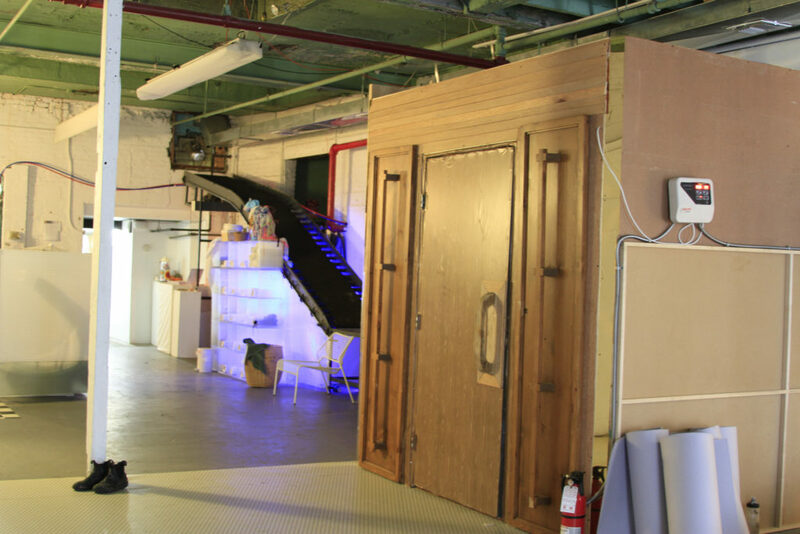 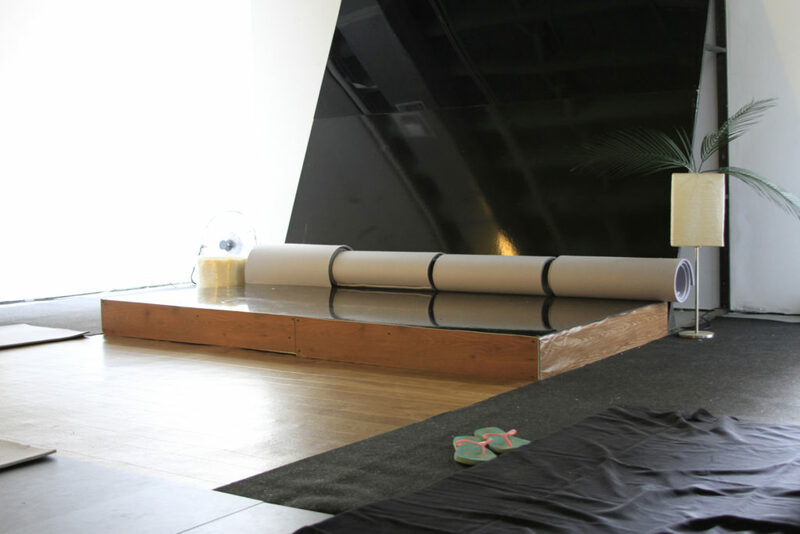 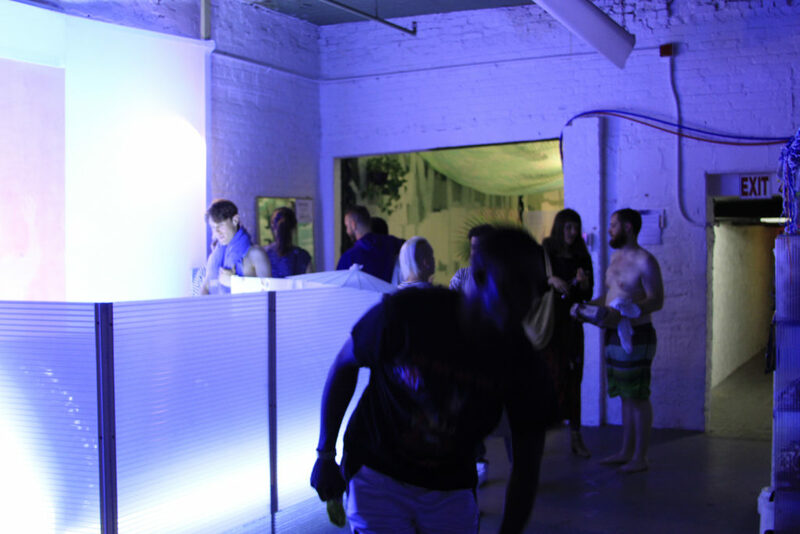 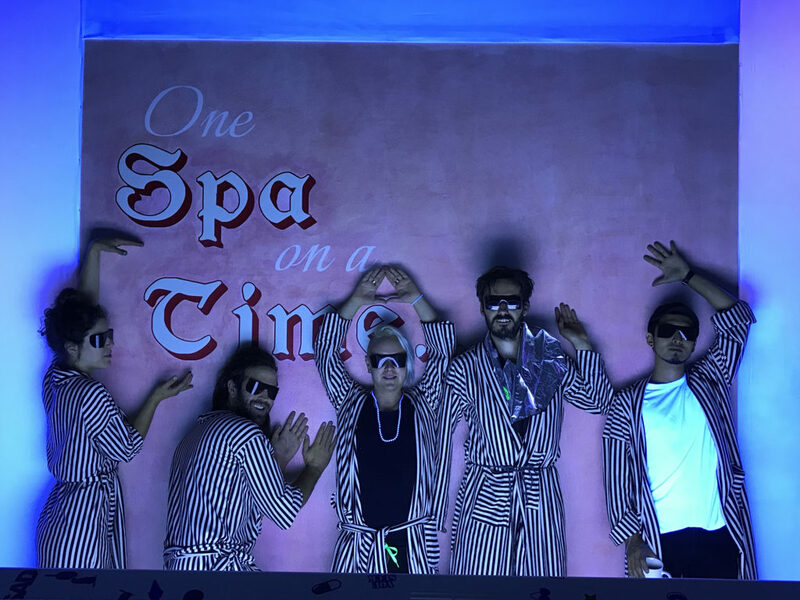 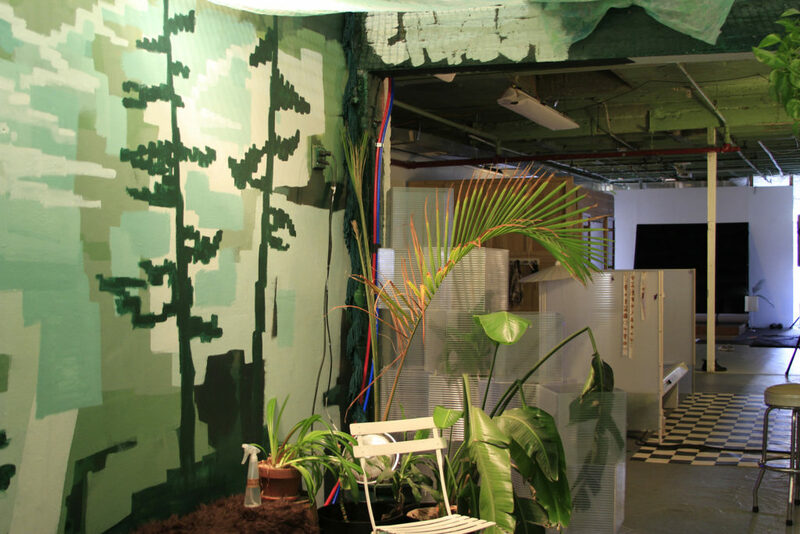 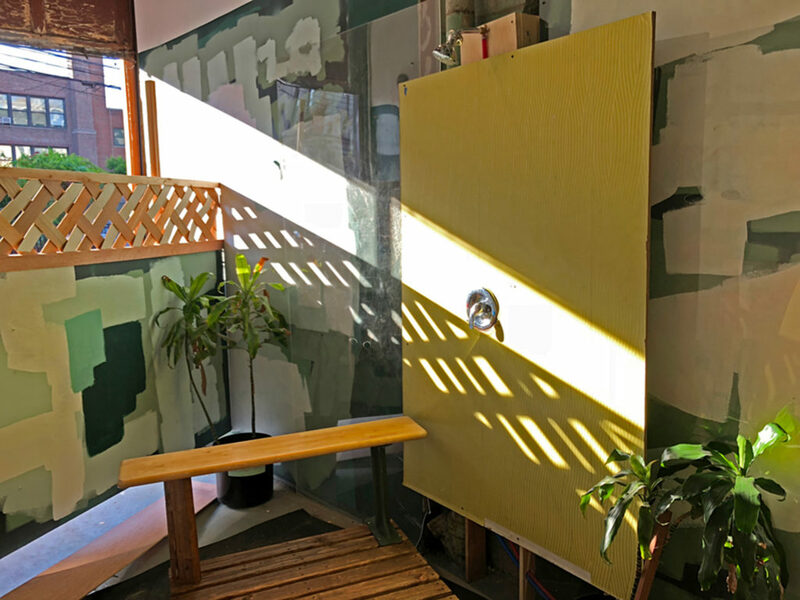 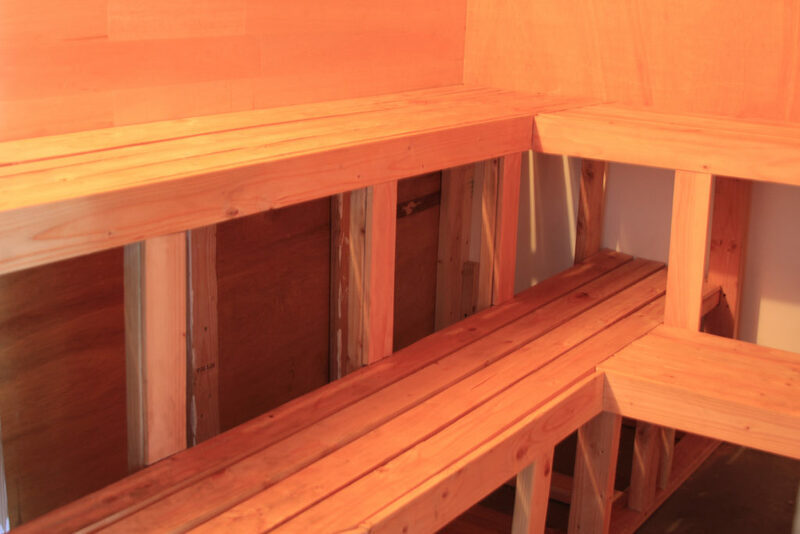 One Spa on a Time, a 60-hour spa resort installation built in Flux Factory’s gallery complete with a dry sauna, outdoor shower, tanning bed, and relaxation lounge. 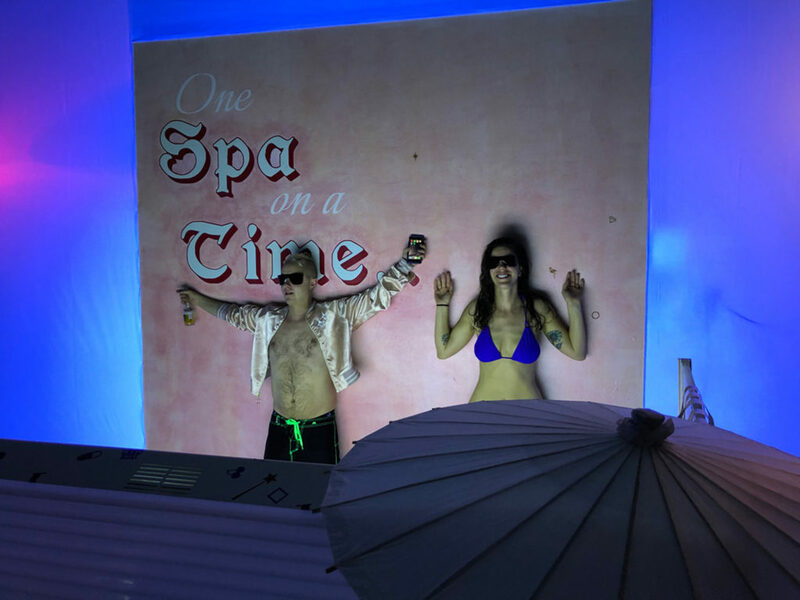 Amenities included spa robes, towels, UV-protective eyewear, custom tanning stickers, peppermint salt scrub, cucumber masks, and a menu of refreshments and healthy meals. 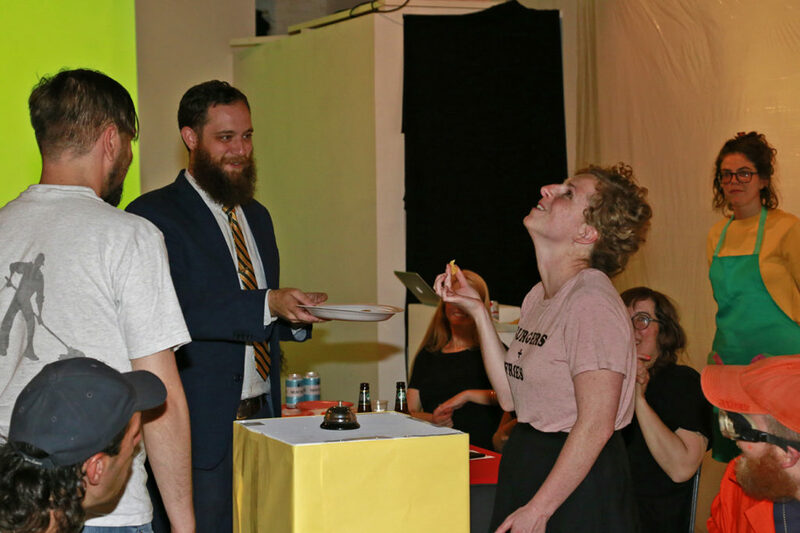 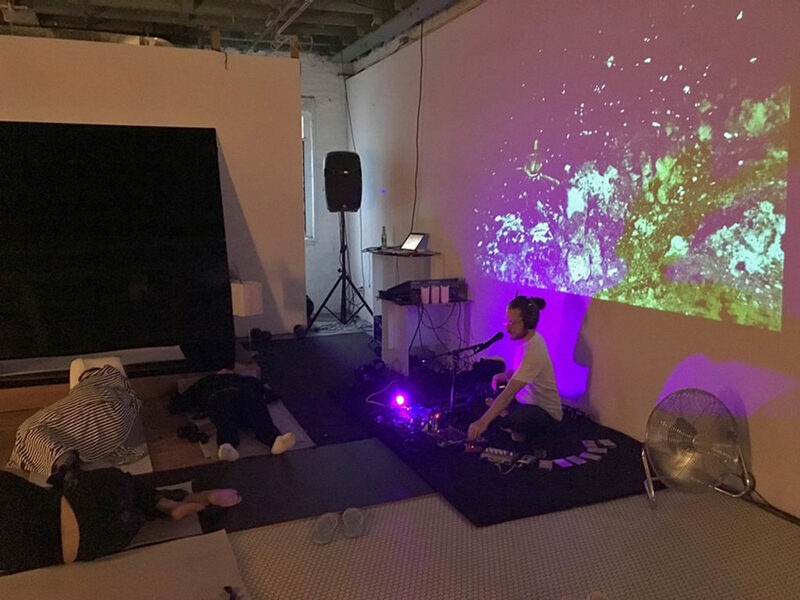 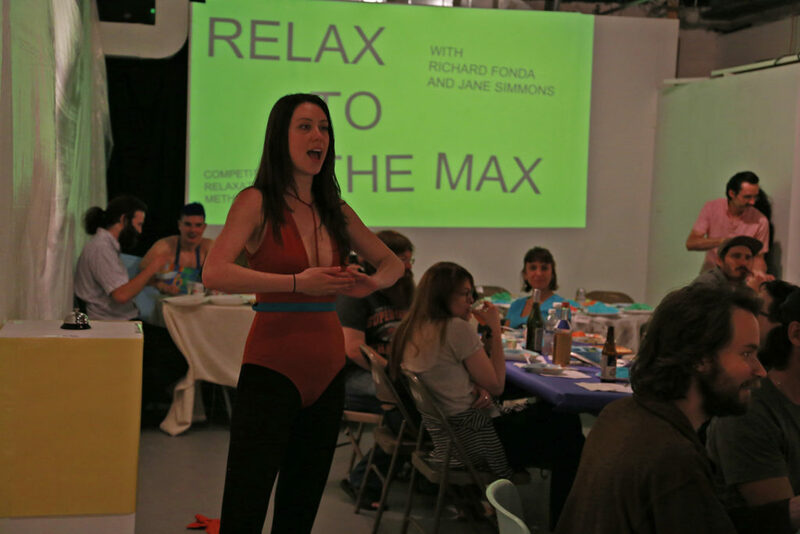 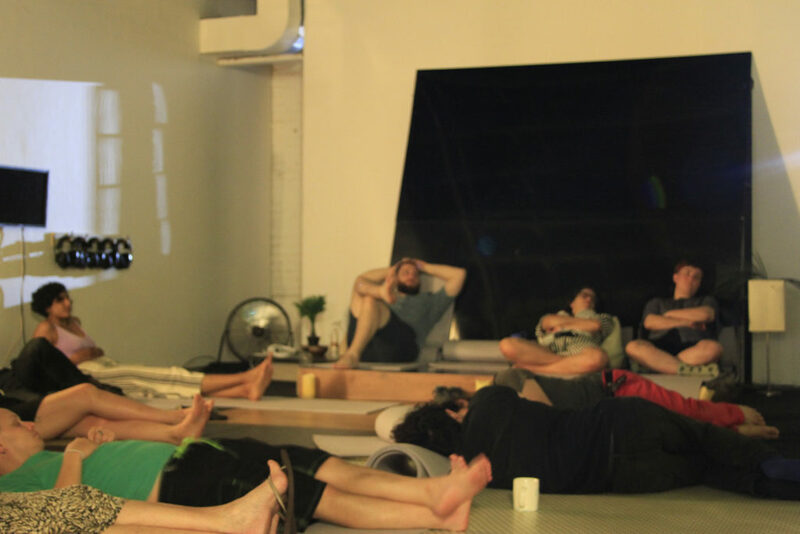 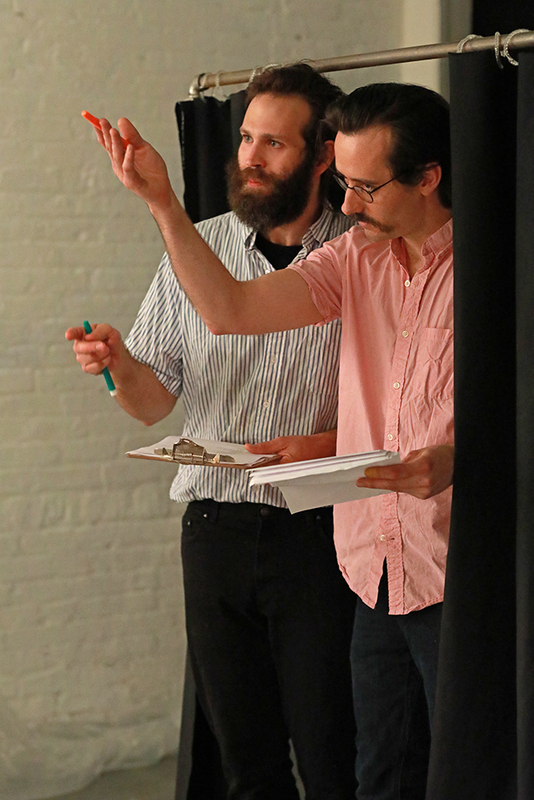 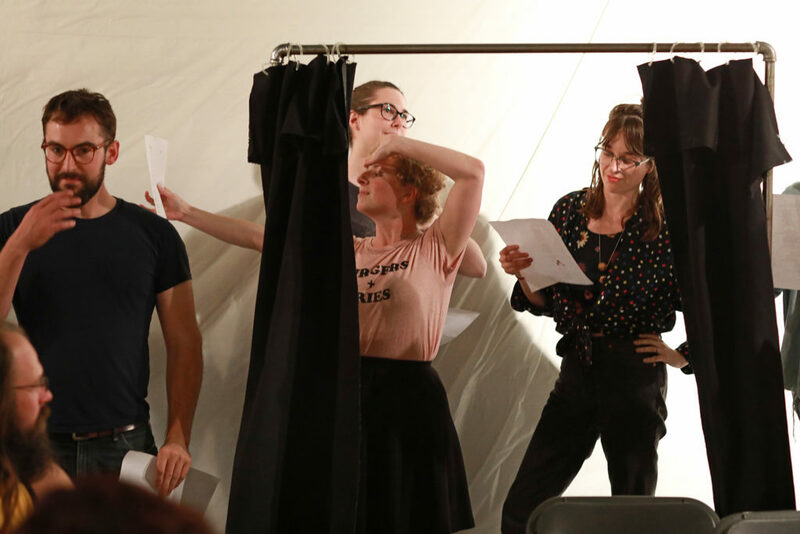 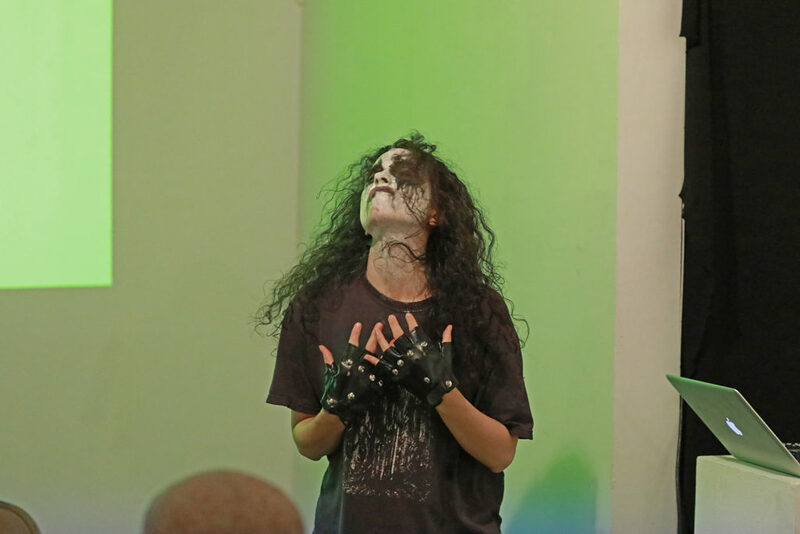 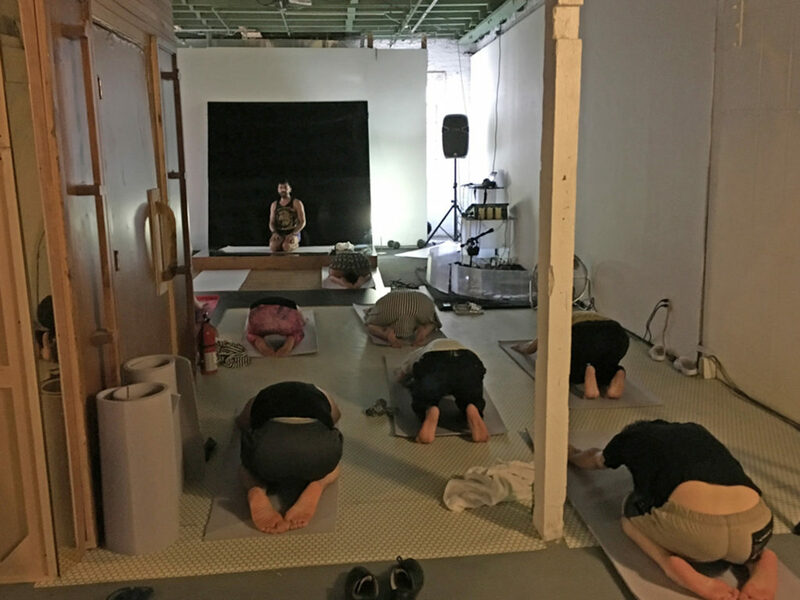 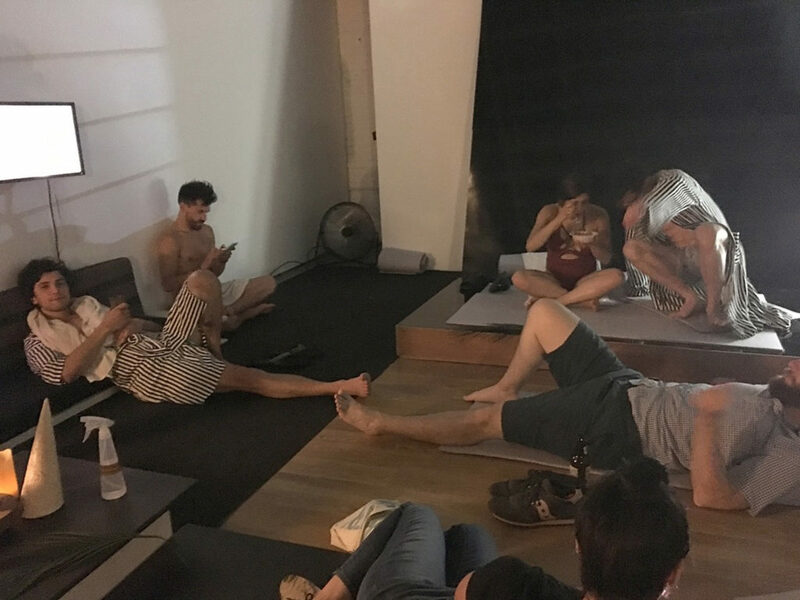 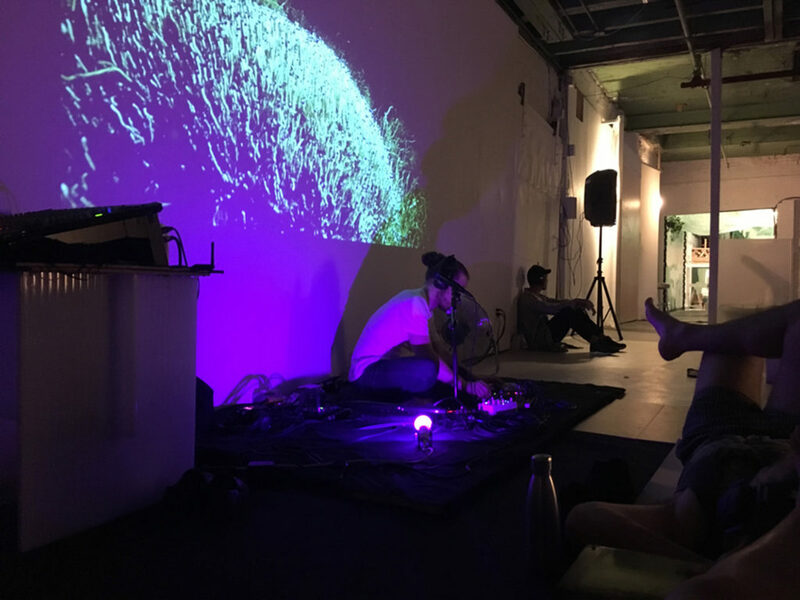 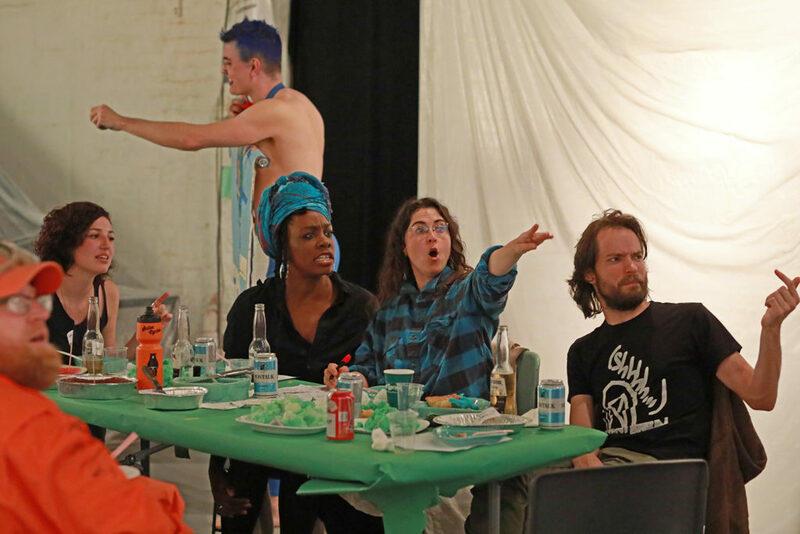 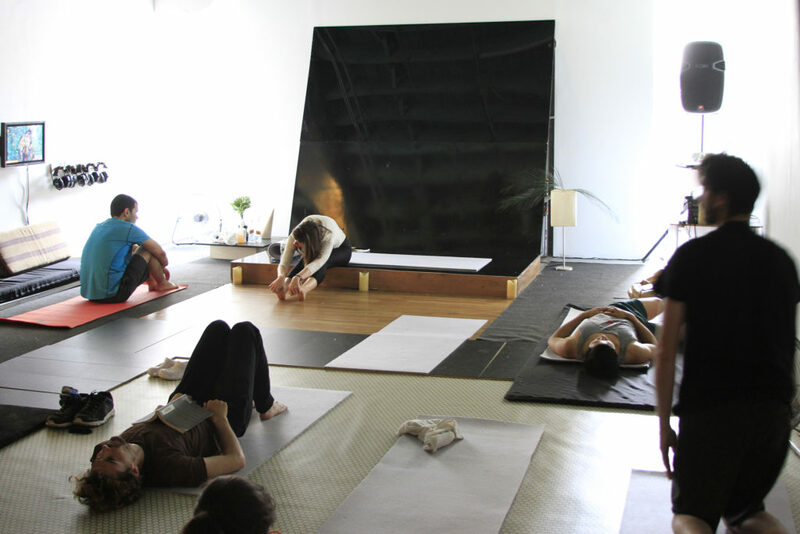 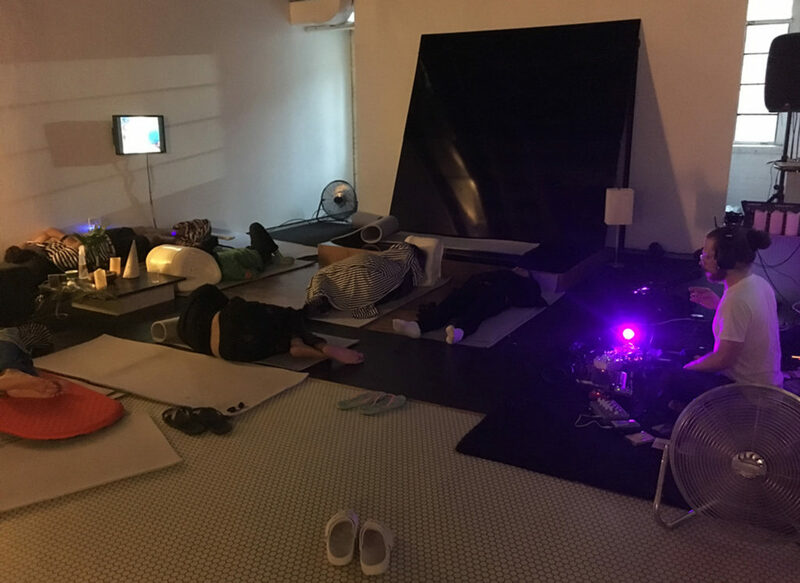 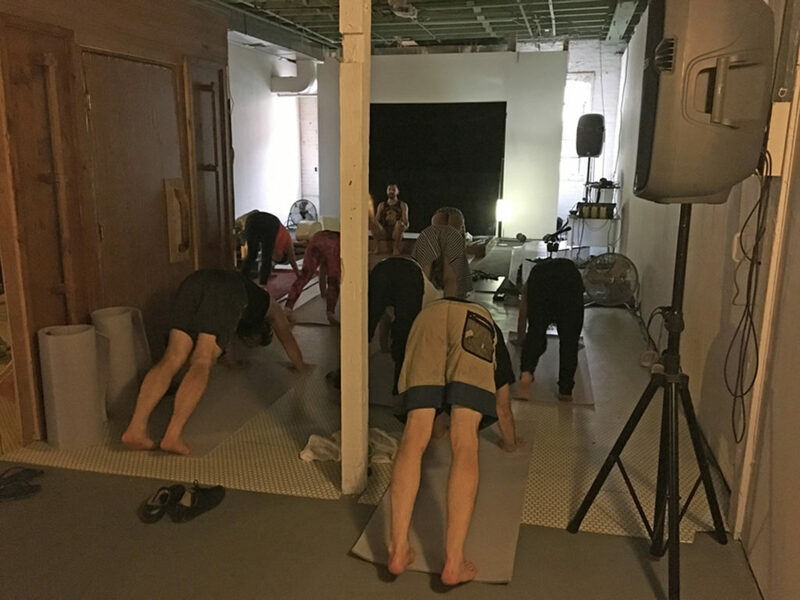 Special programming throughout the 60 hours included afternoon yoga with Michael O’Malley, an overnight 6-hour durational audio performance by Man Bartlett, late-night performances by Seth Timothy Larson, Michael O’Malley, and Jaimie Warren, and afternoon cool-down yoga with Emily Melander. 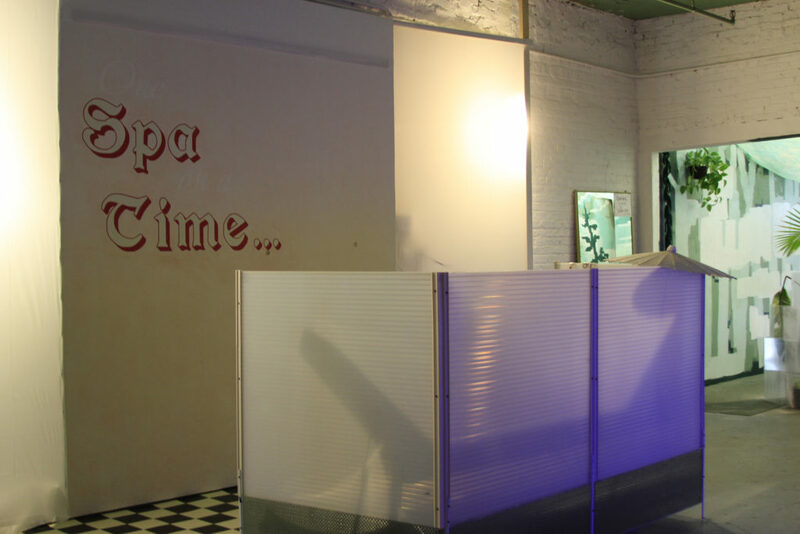 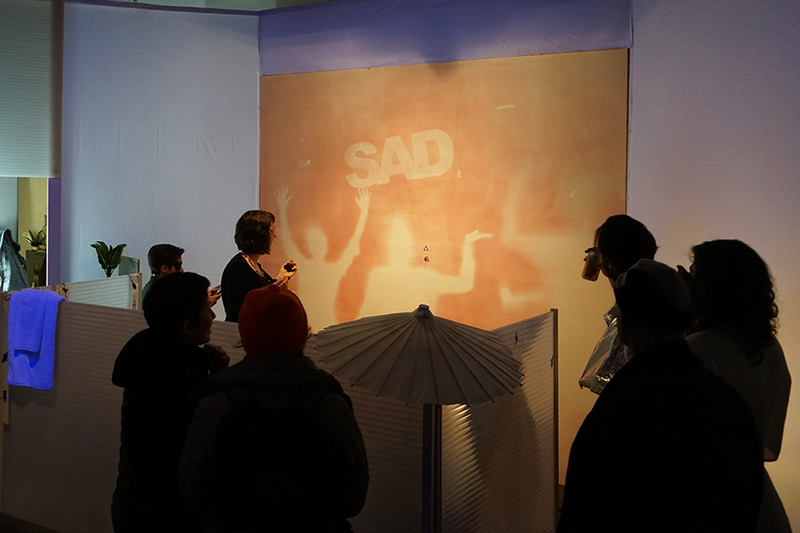 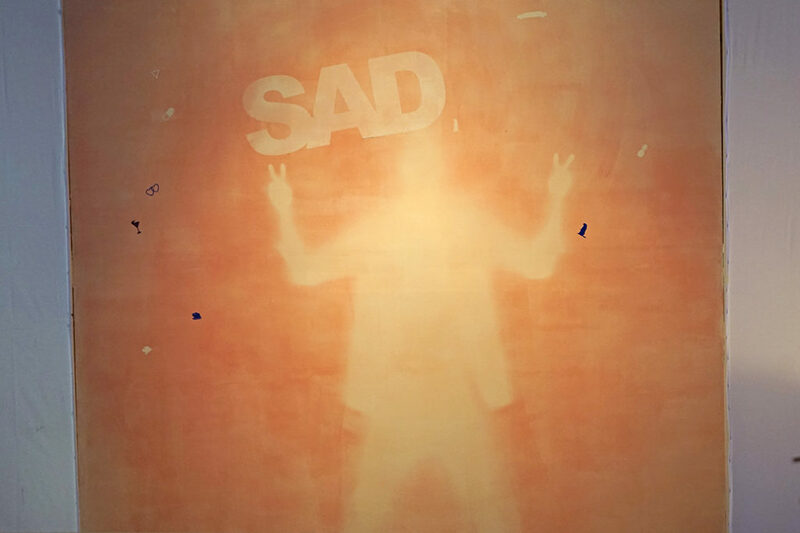 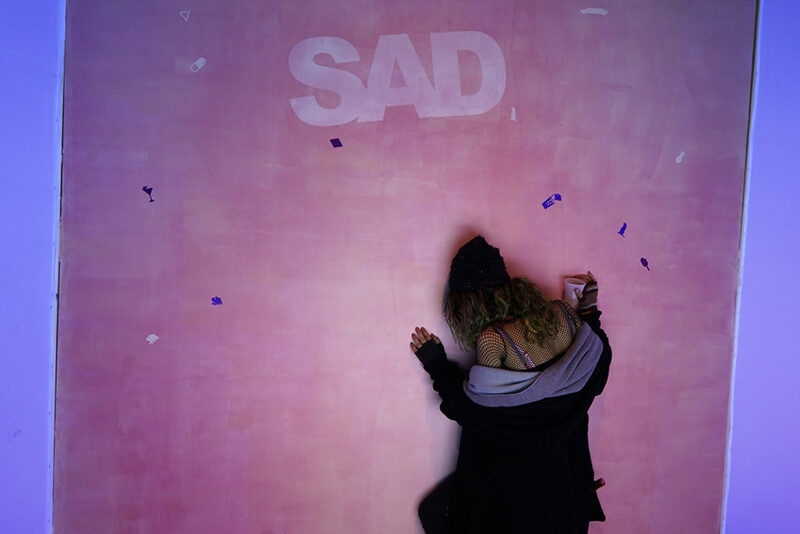 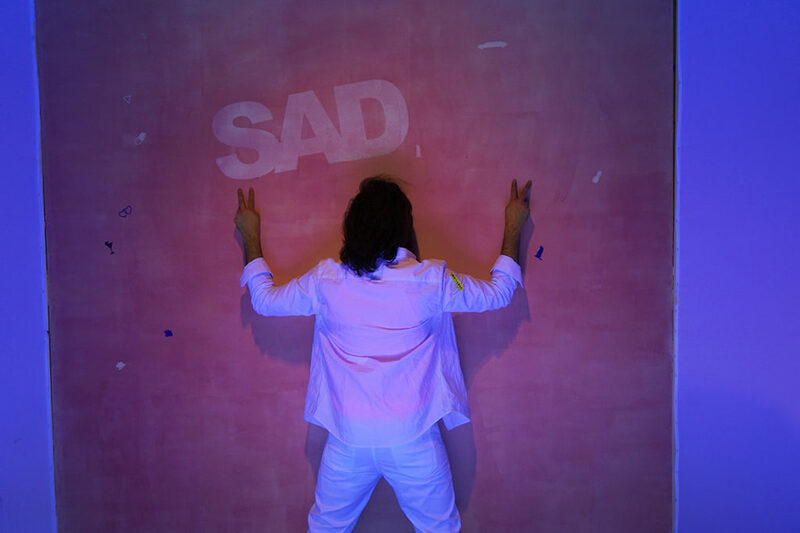 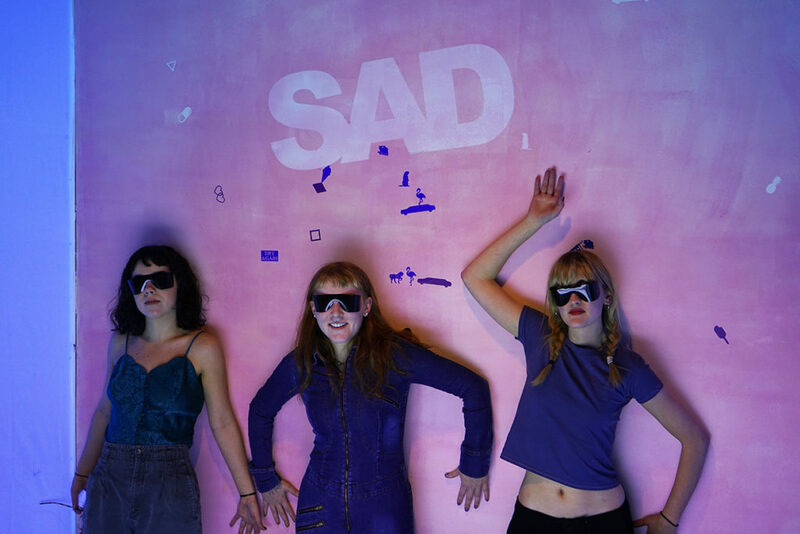 SAD Spa opened on Groundhog Day and offered a month of free light therapy to visitors in the middle of winter. 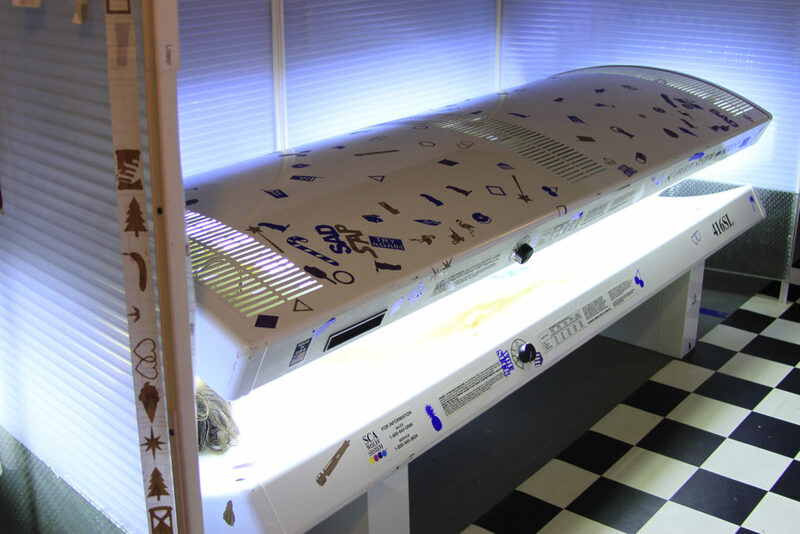 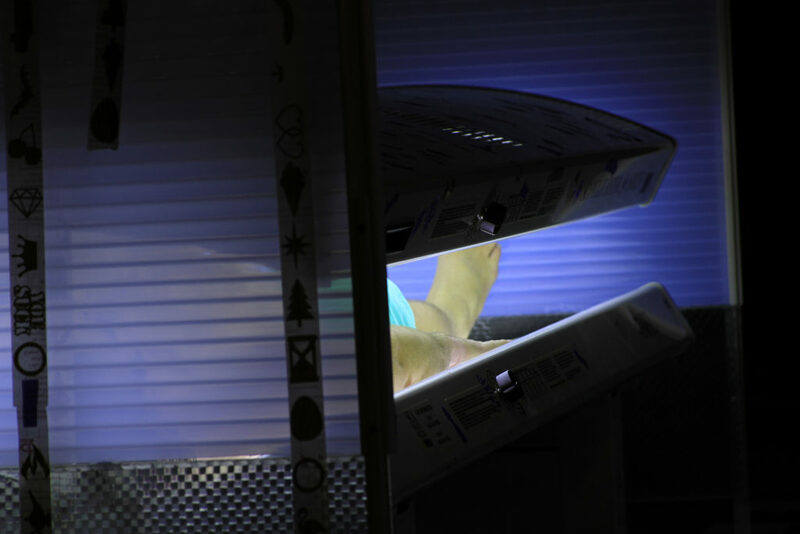 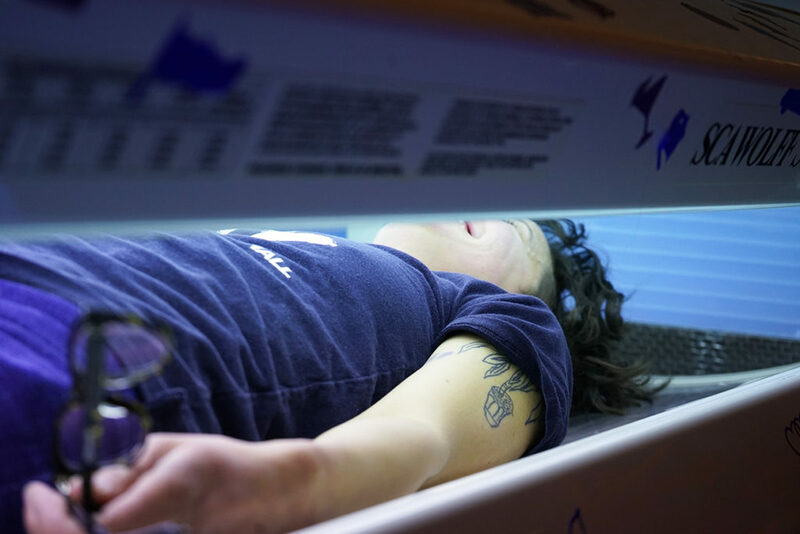 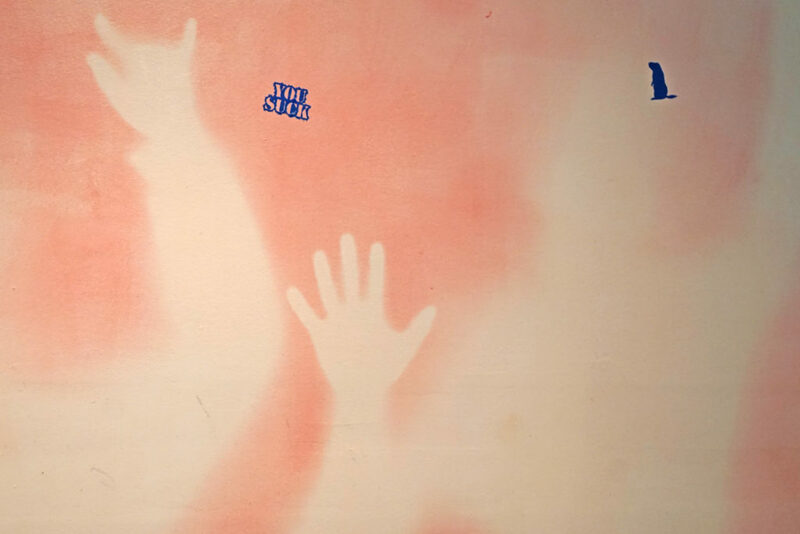 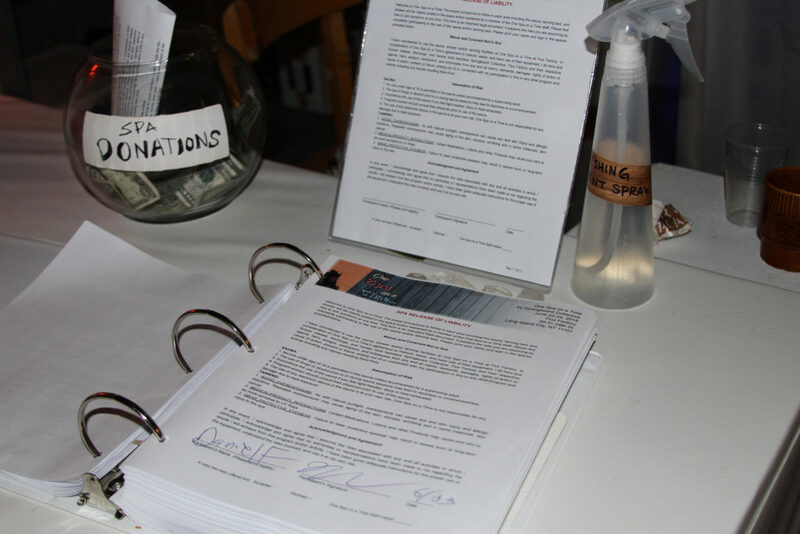 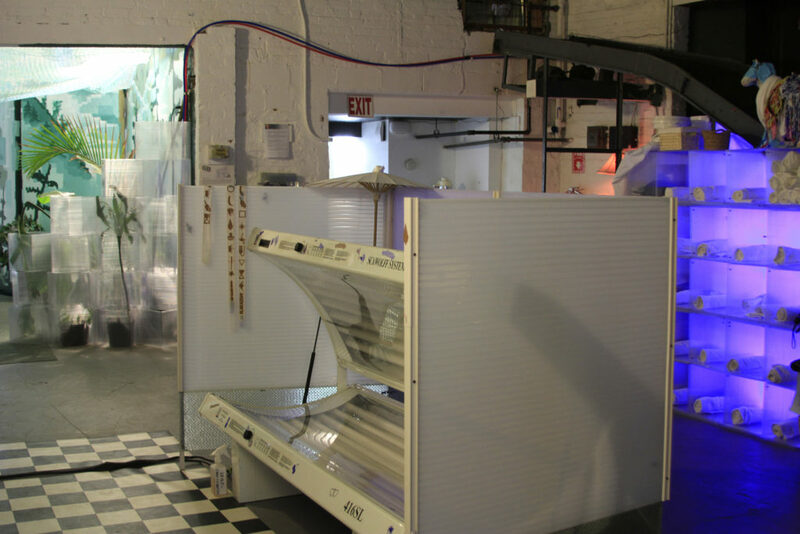 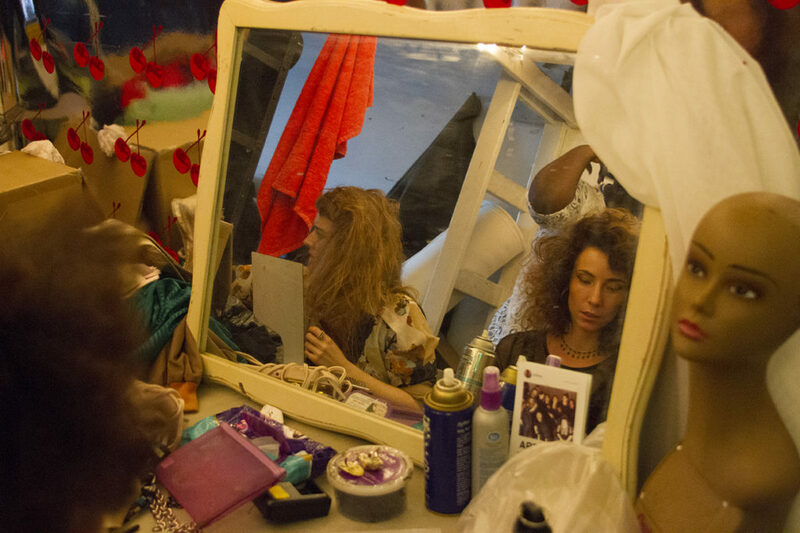 Upon signing a waiver, participants could receive their treatment by doing a full tanning session or sunburning their shadow on the gallery wall. 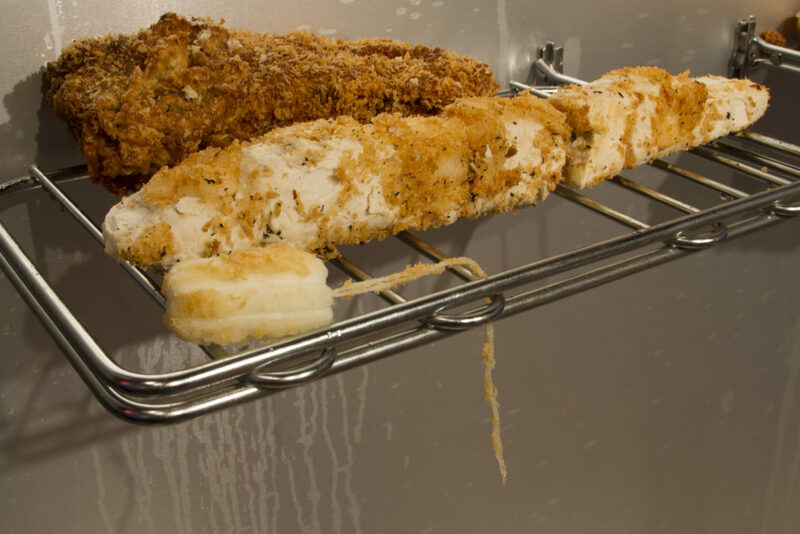 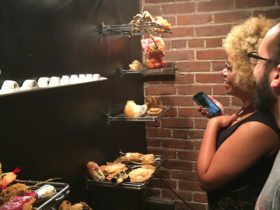 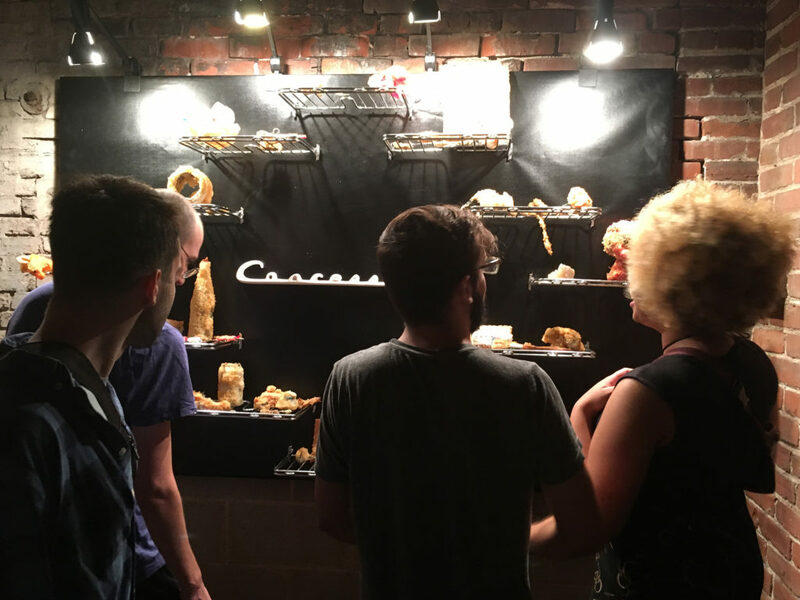 Concessioninvited participants to batter and deep fry any object and display it on stainless steel grills installed in the elevator shaft in Little Berlin’s courtyard. 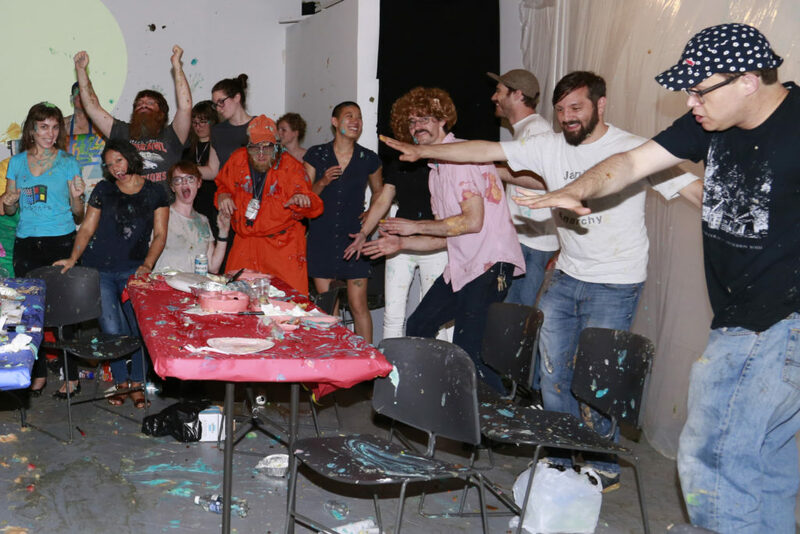 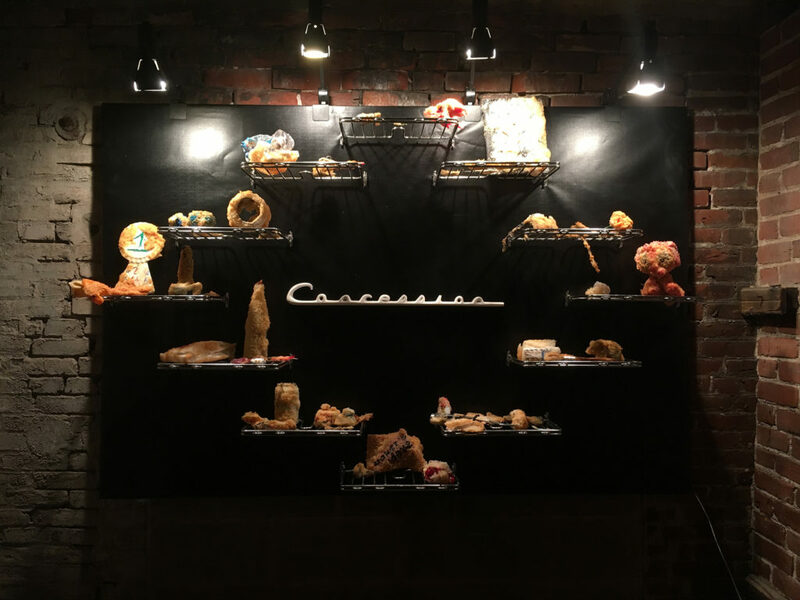 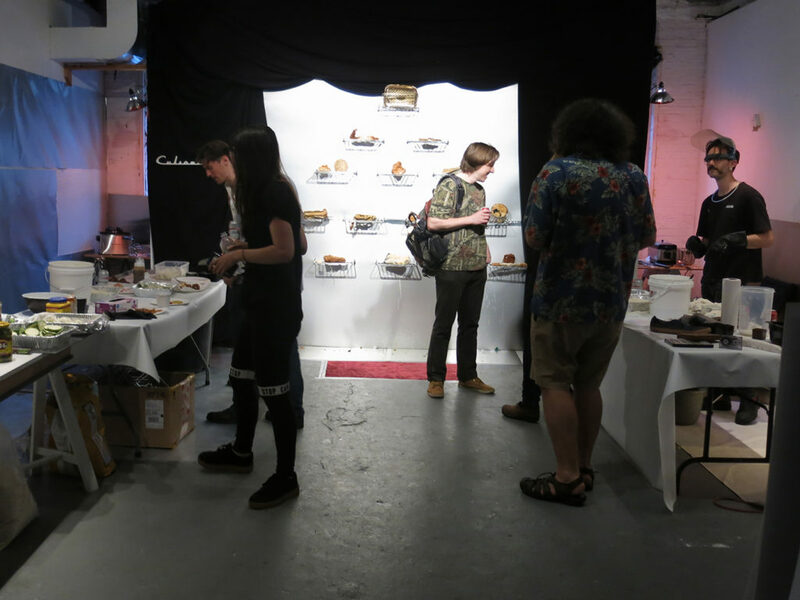 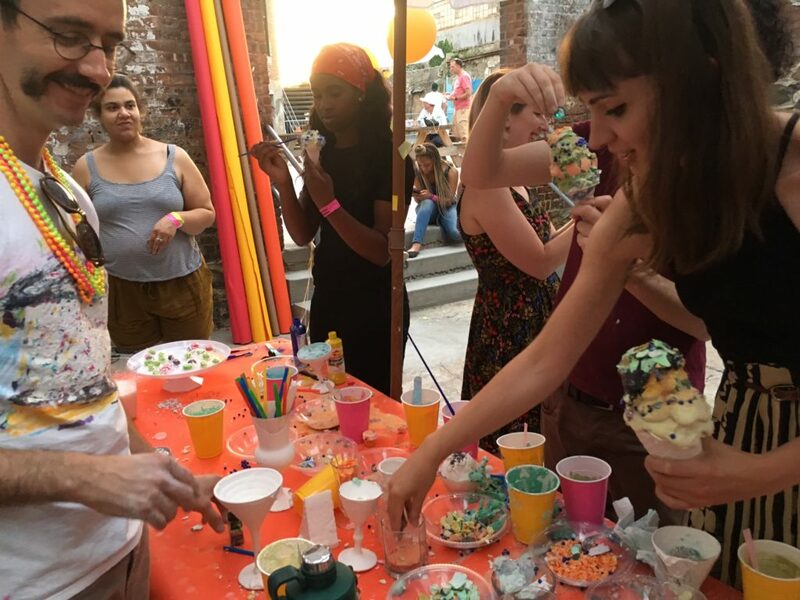 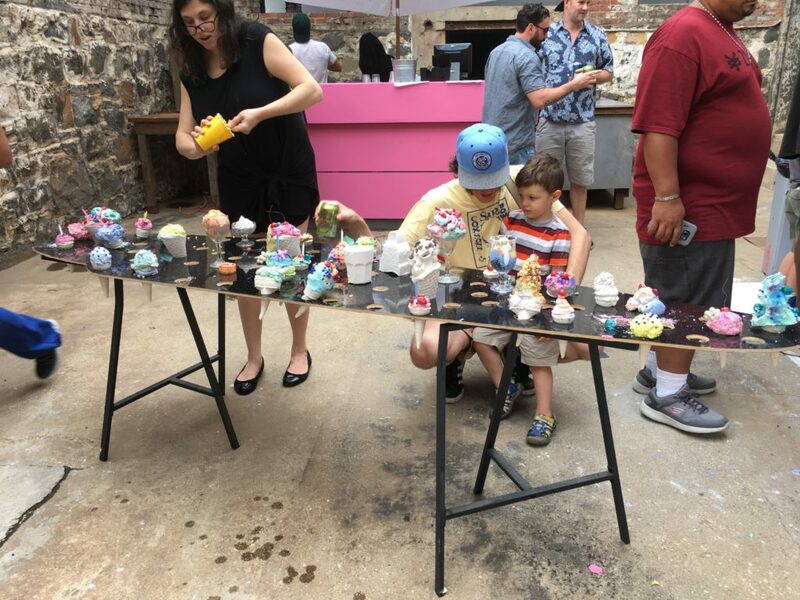 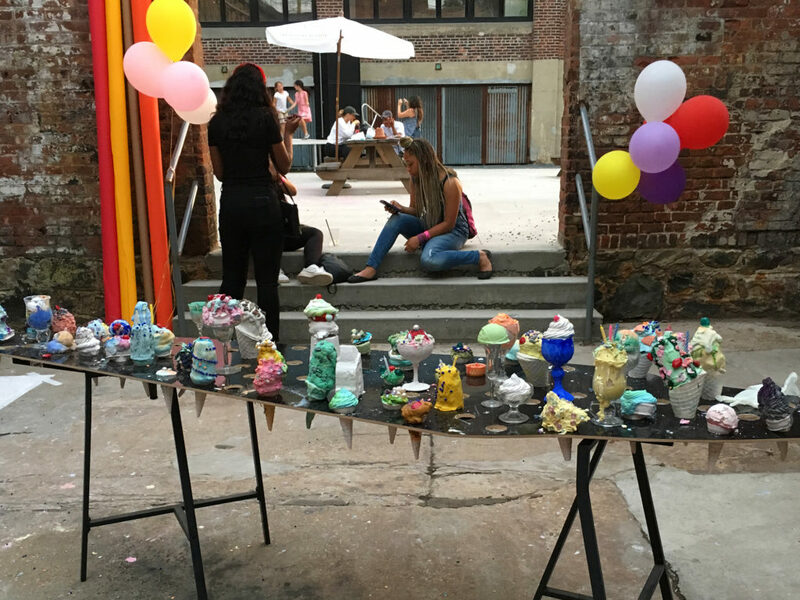 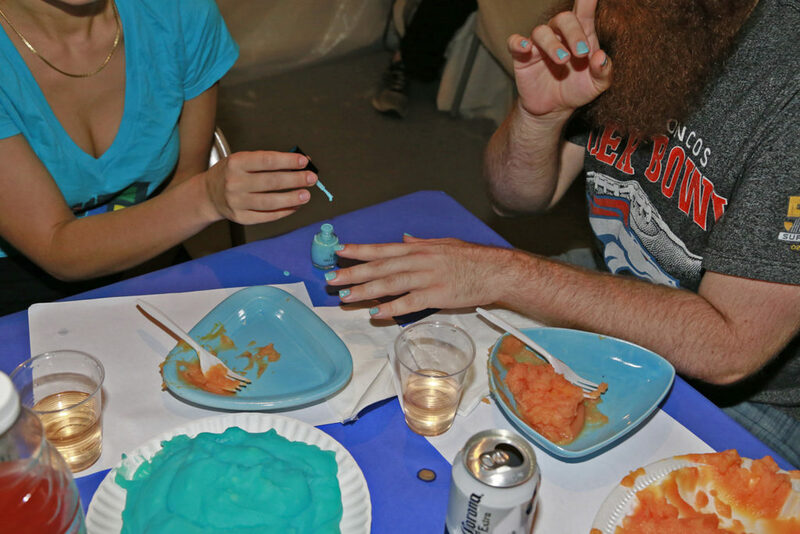 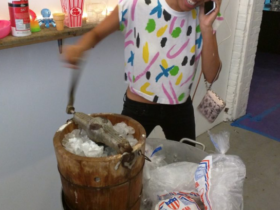 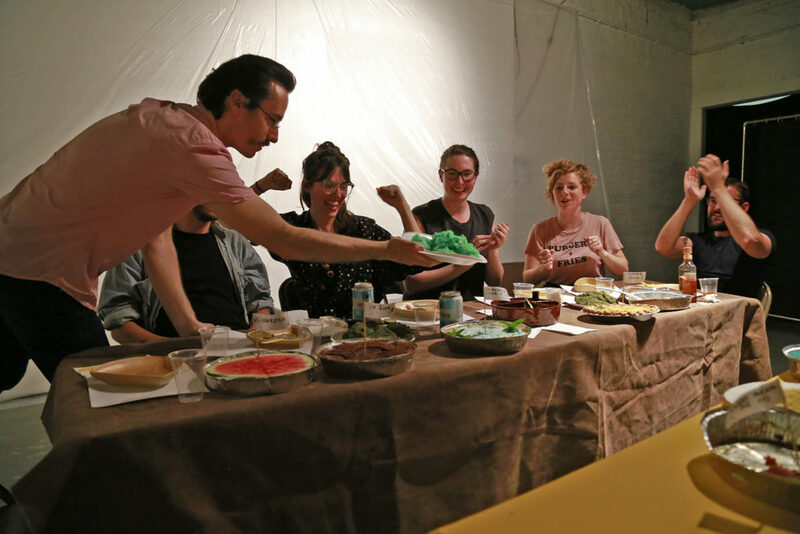 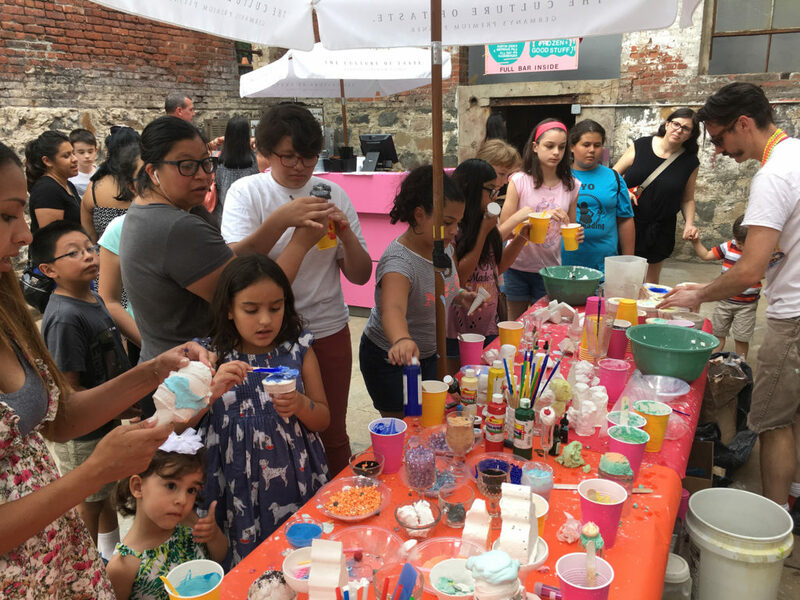 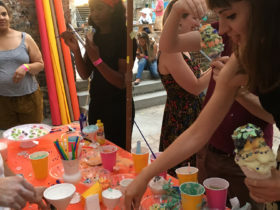 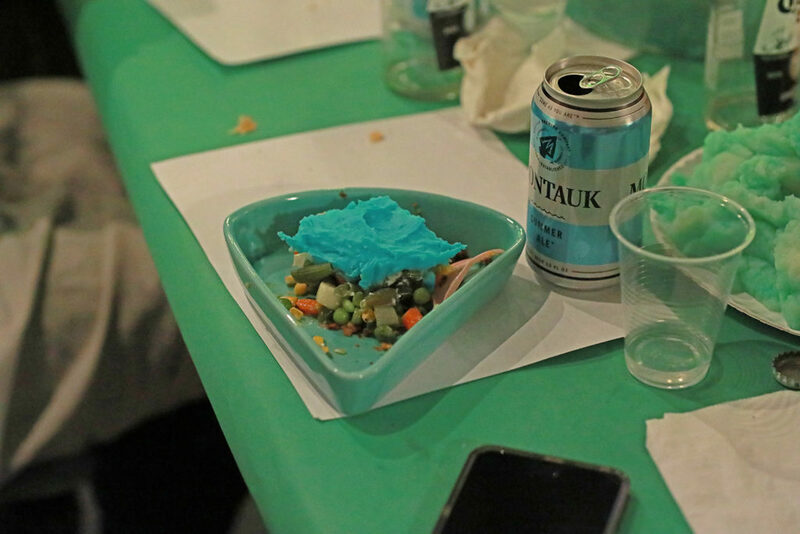 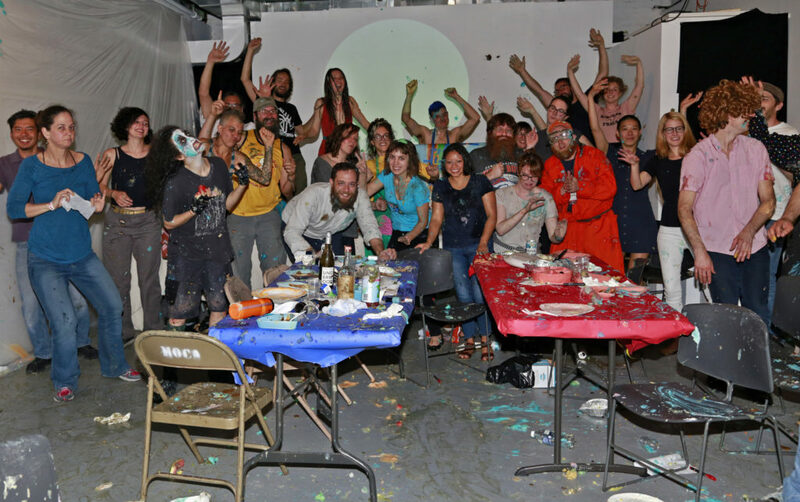 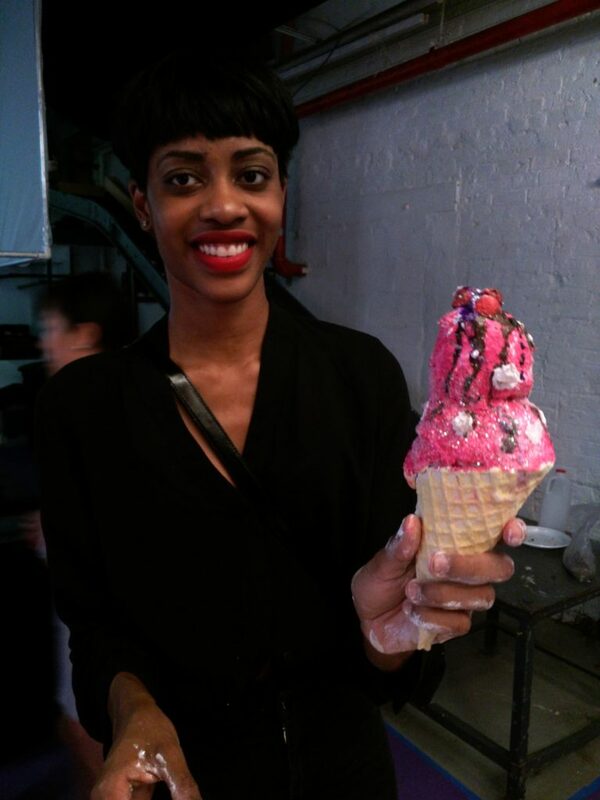 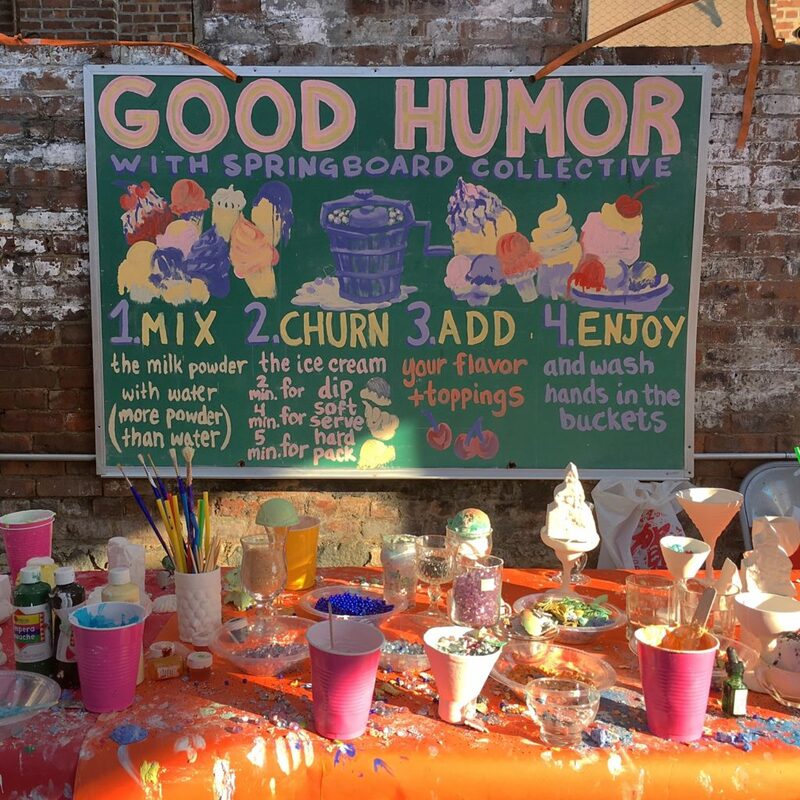 As part of the Knockdown Center’s Field Day, participants were invited to create their own plaster ice cream sculptures. 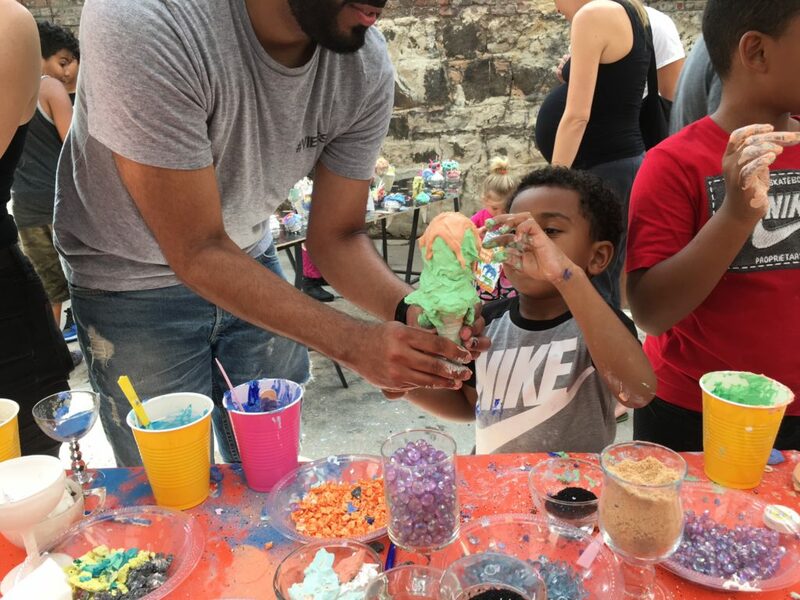 Participants mixed up their own ice cream flavors and tasty toppings to complete their own melting masterpiece to last the ages. 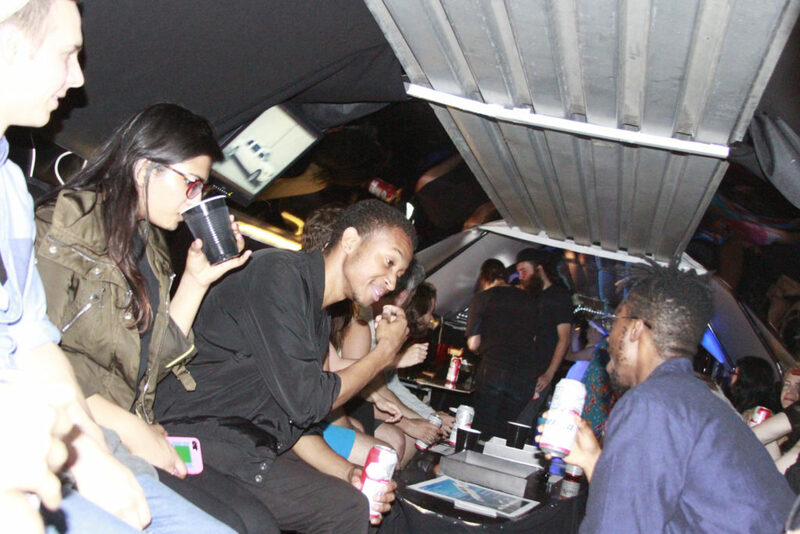 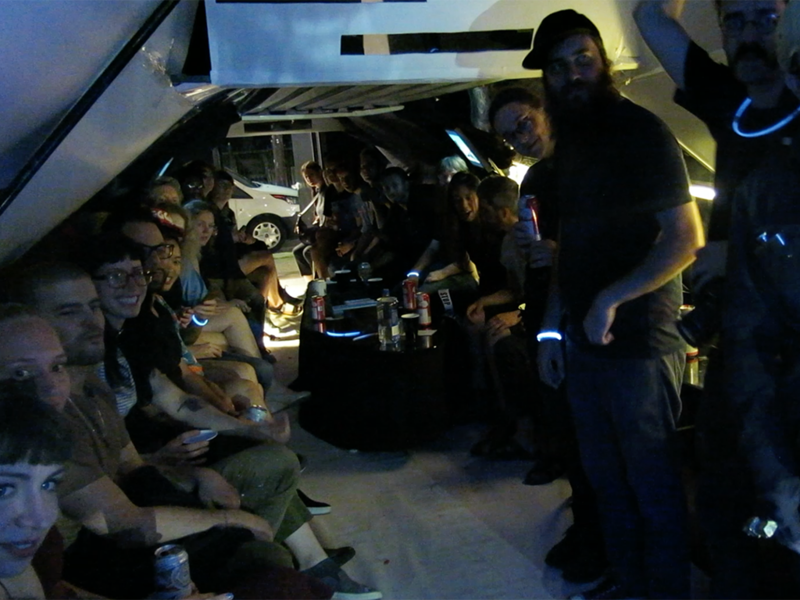 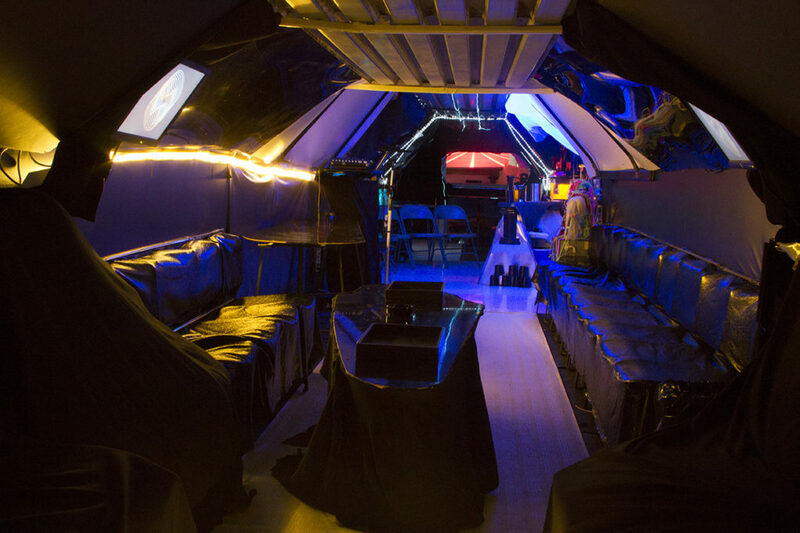 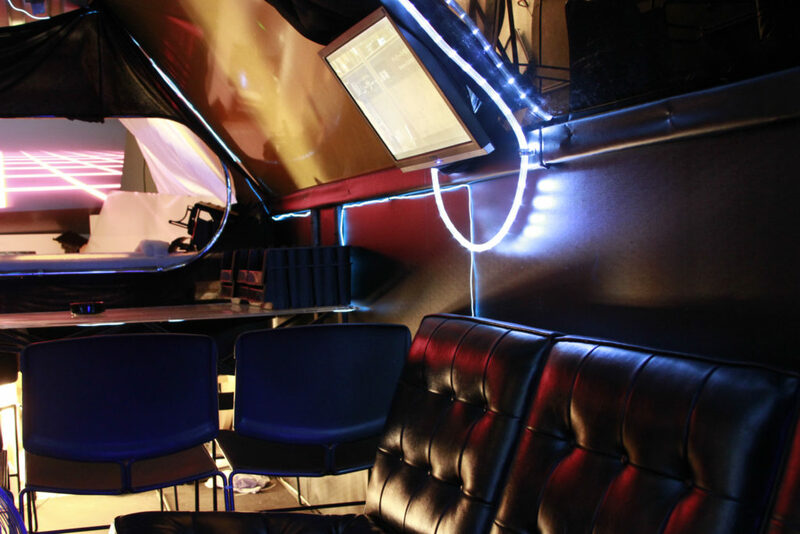 Limo Cult featured a handmade 70-ft limousine complete with 50+seats, a dance club, full bar, a 7-channel video installation, and custom on-board navigation system. 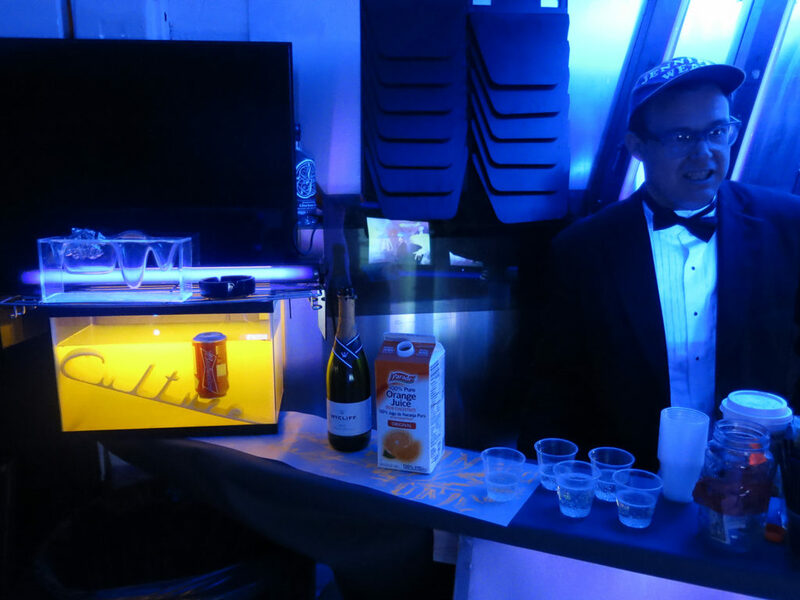 The limo’s destination was a greasy altarpiece and two deep fryer stations. 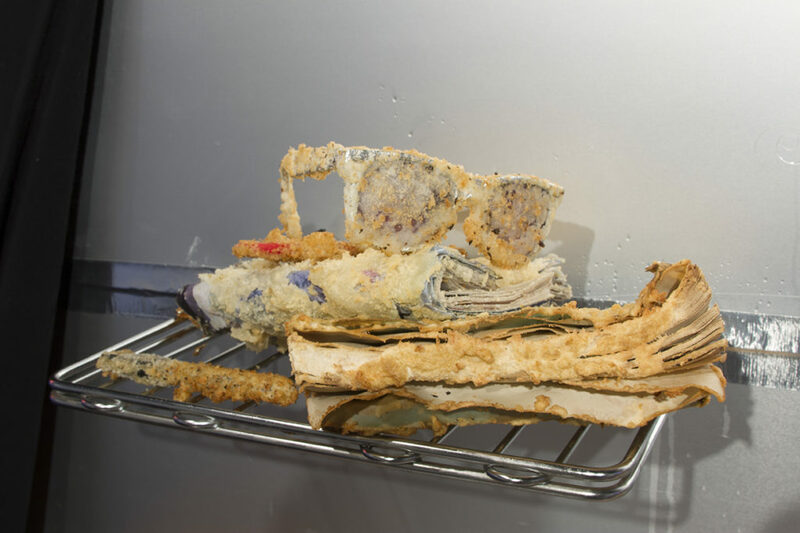 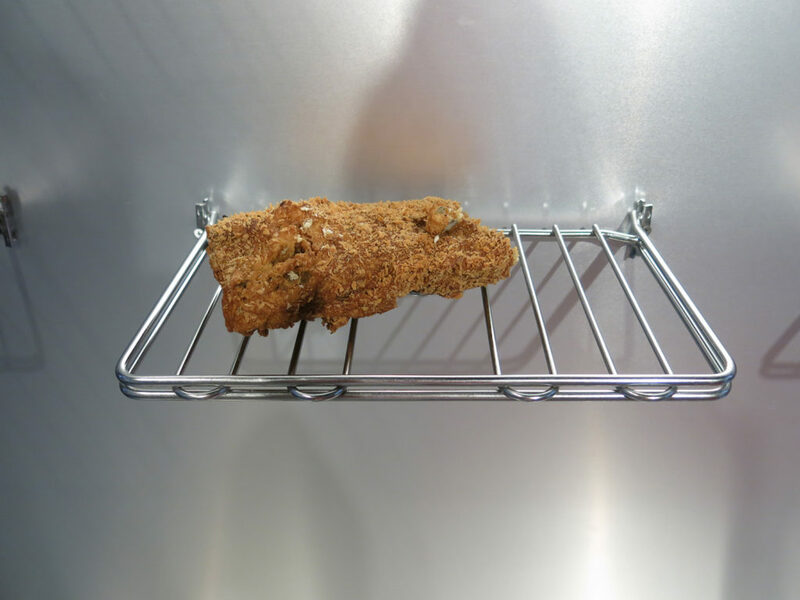 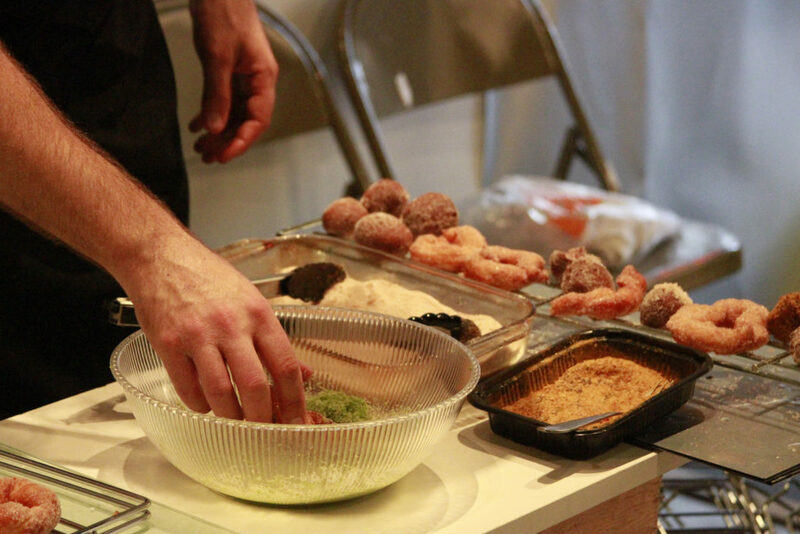 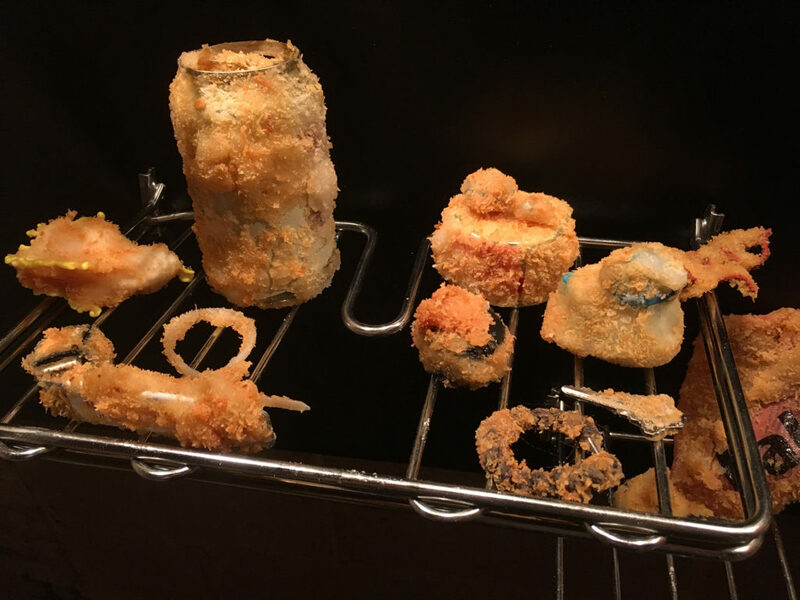 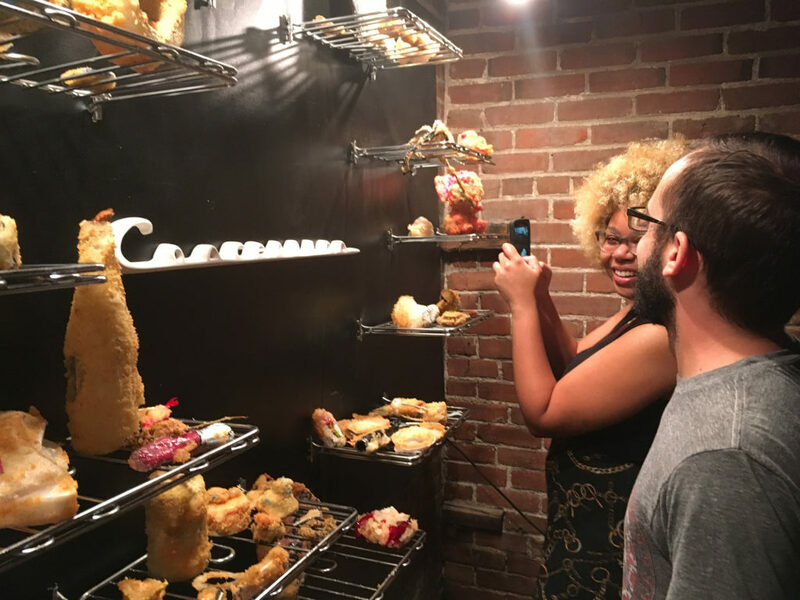 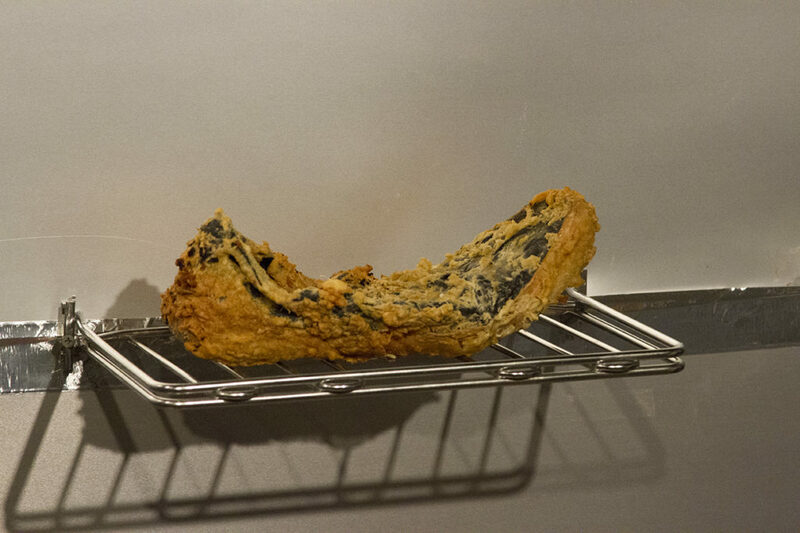 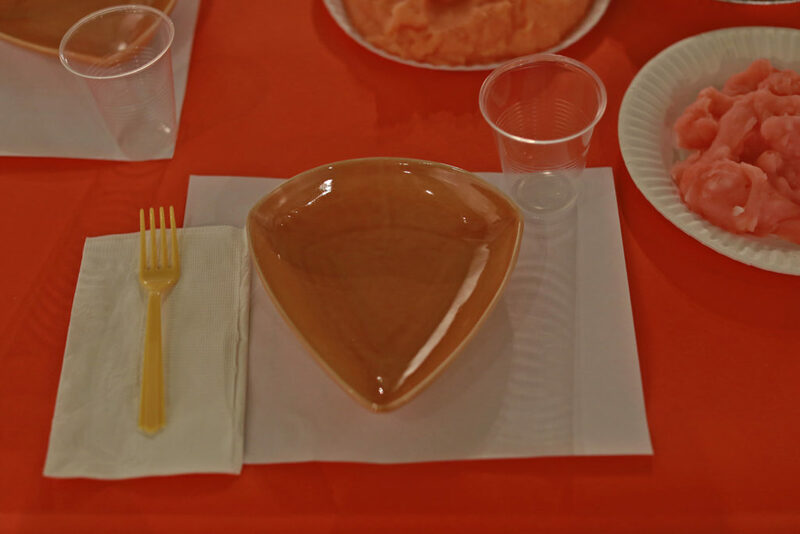 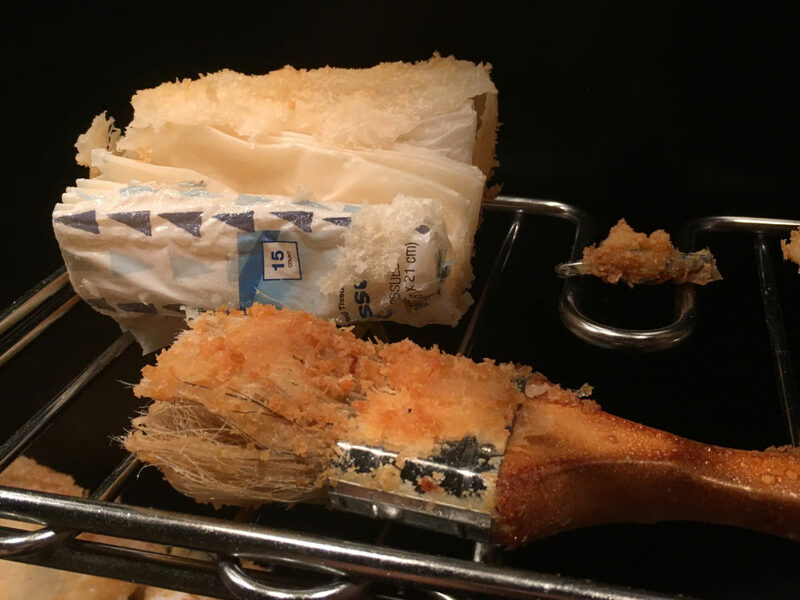 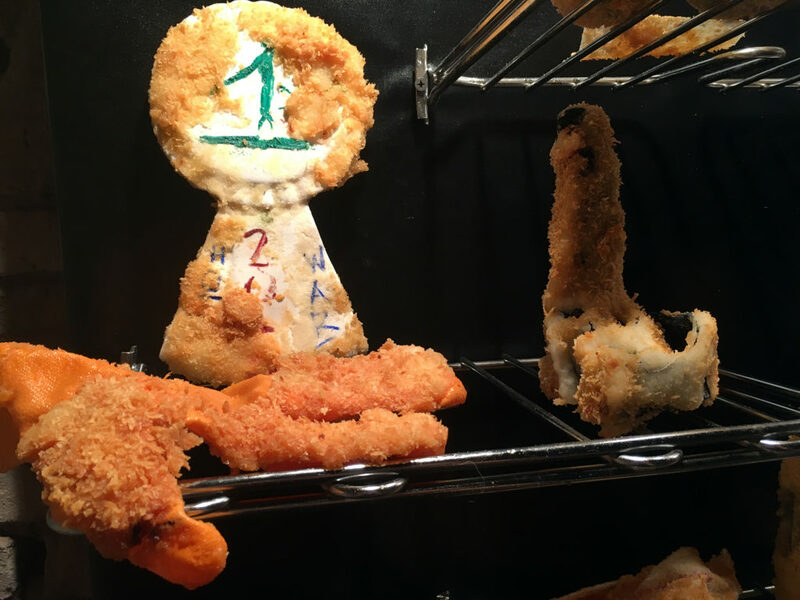 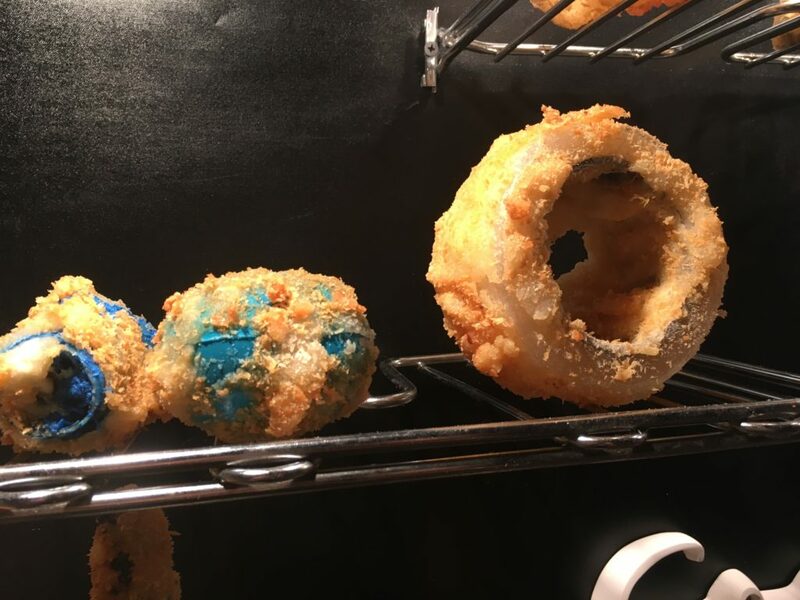 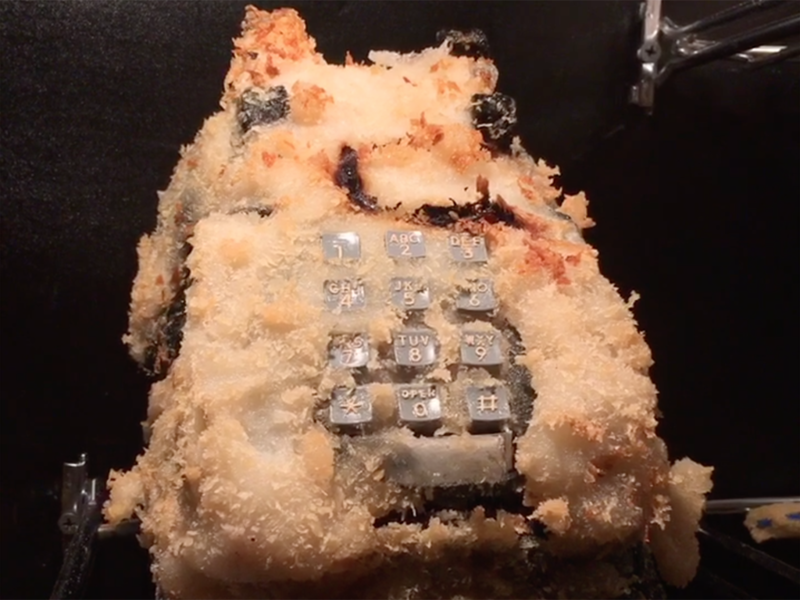 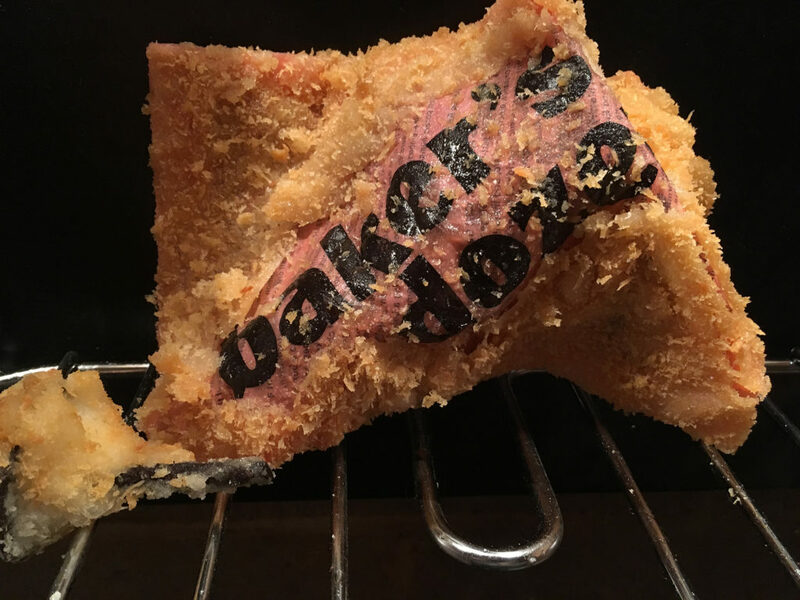 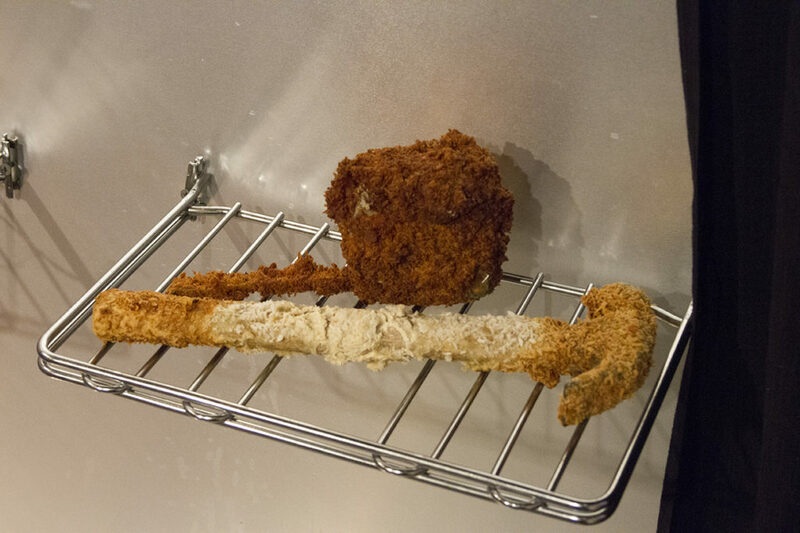 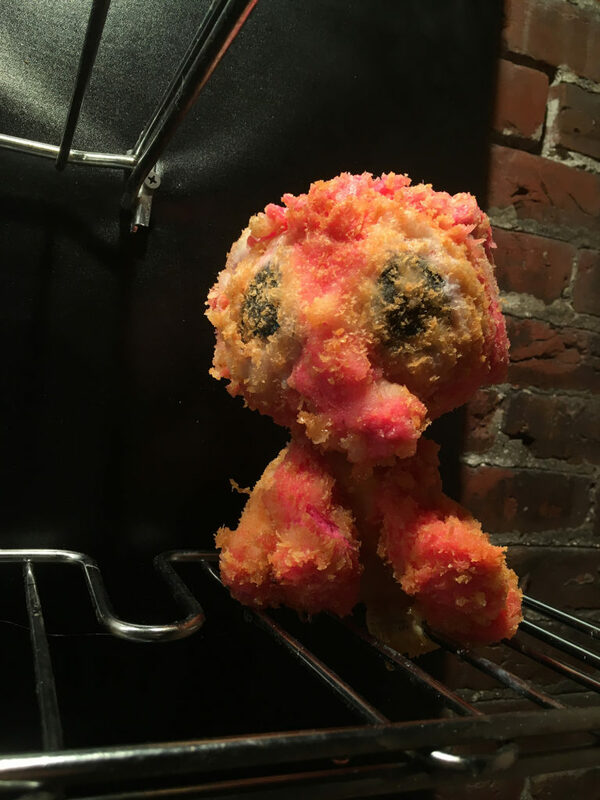 Participants brought food items for our deep fried potluck at the Culinary Equalizer and were also invited to sacrifice objects to the Concession, our sculptural deep fry. 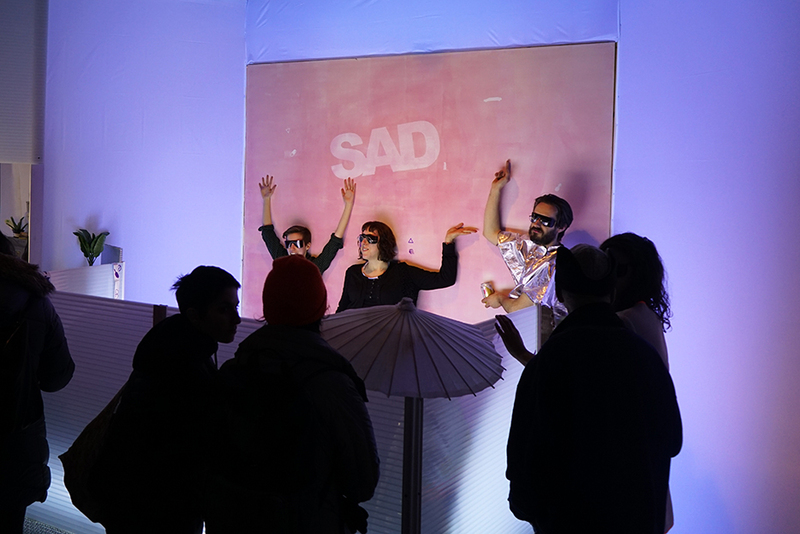 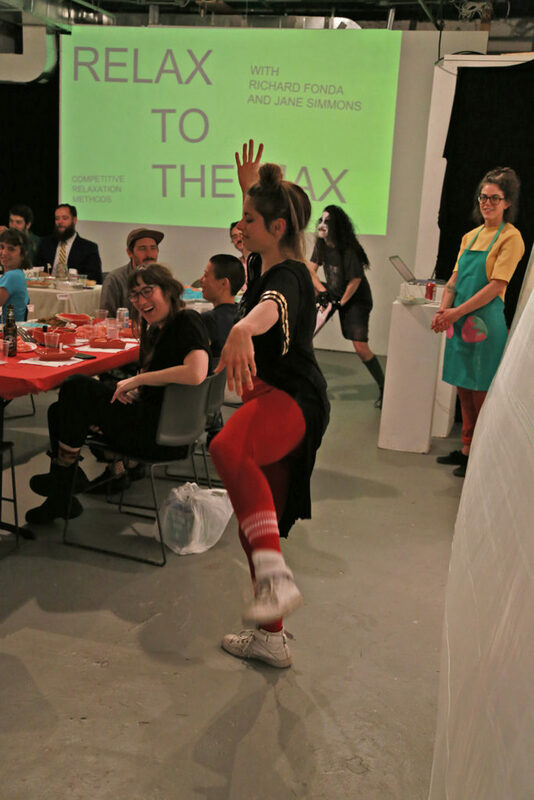 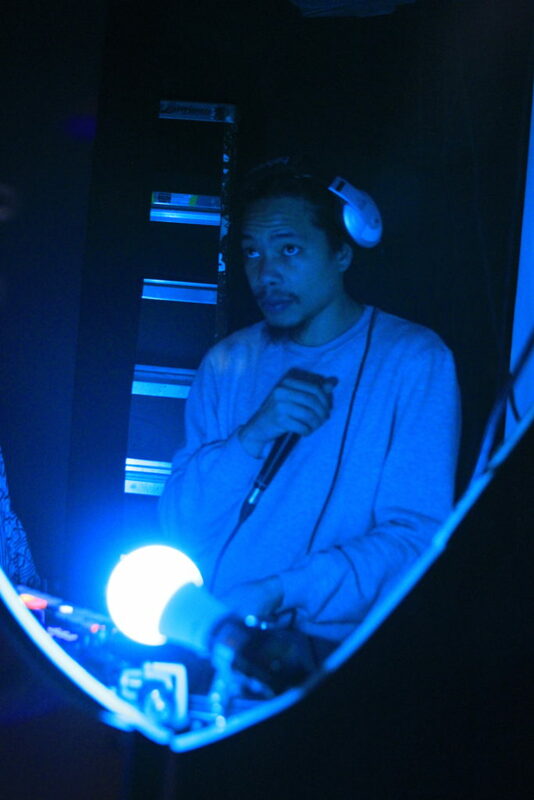 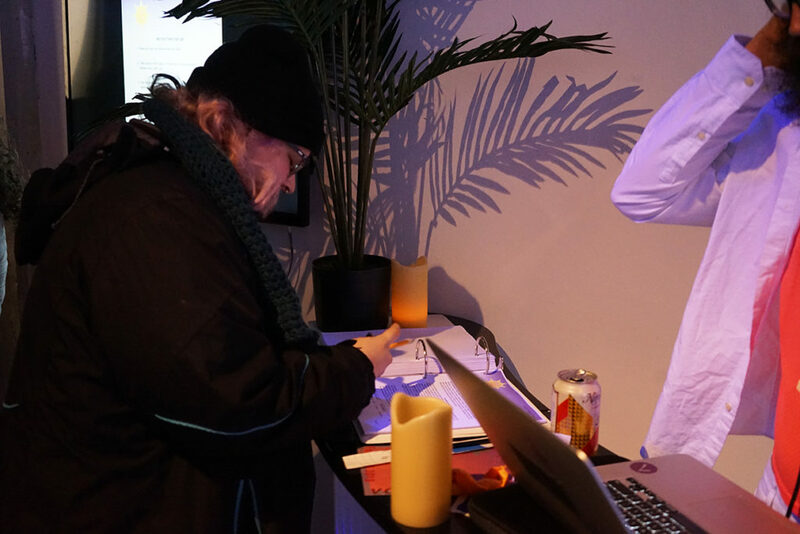 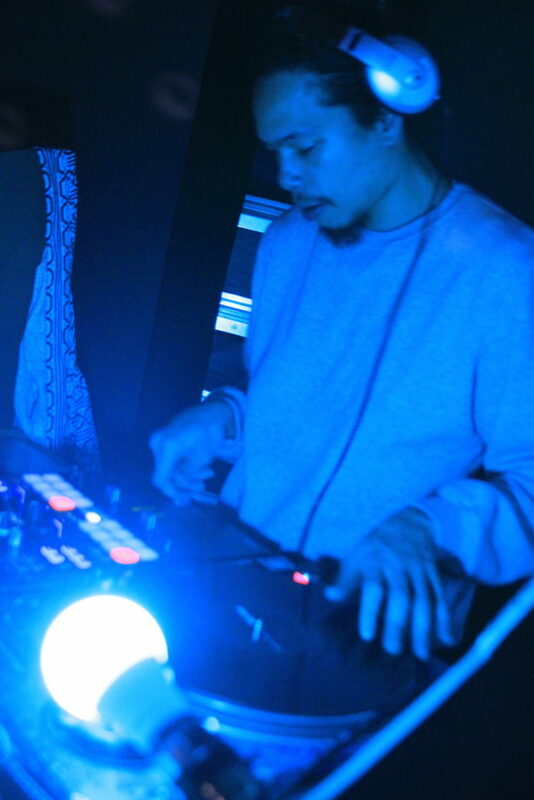 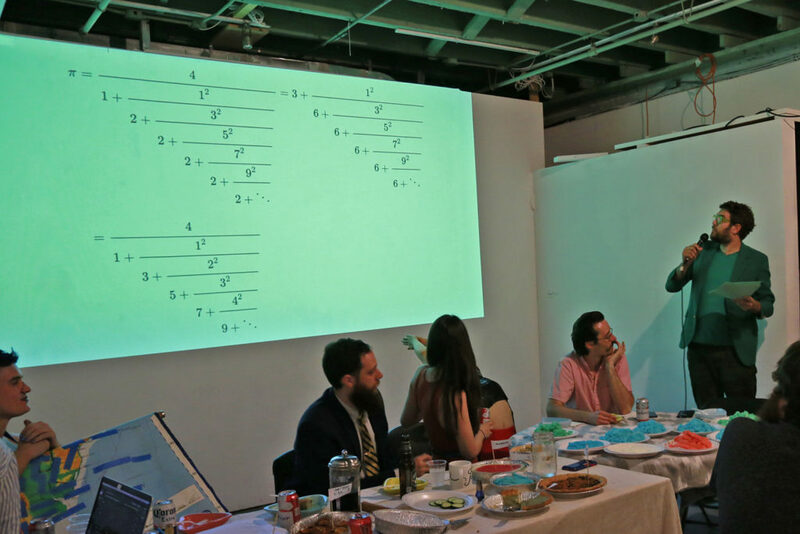 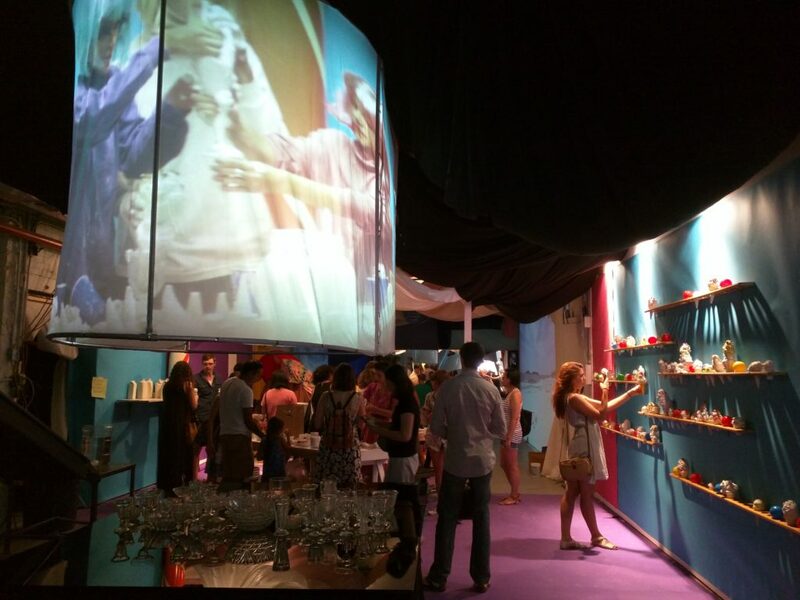 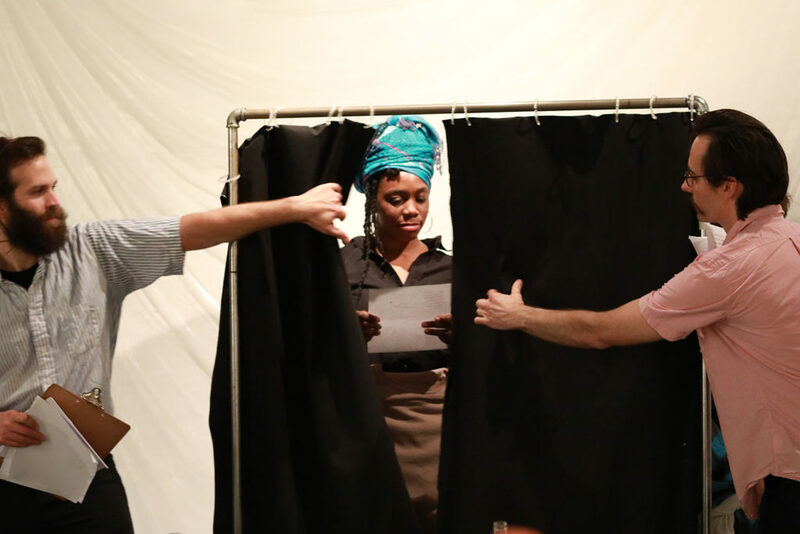 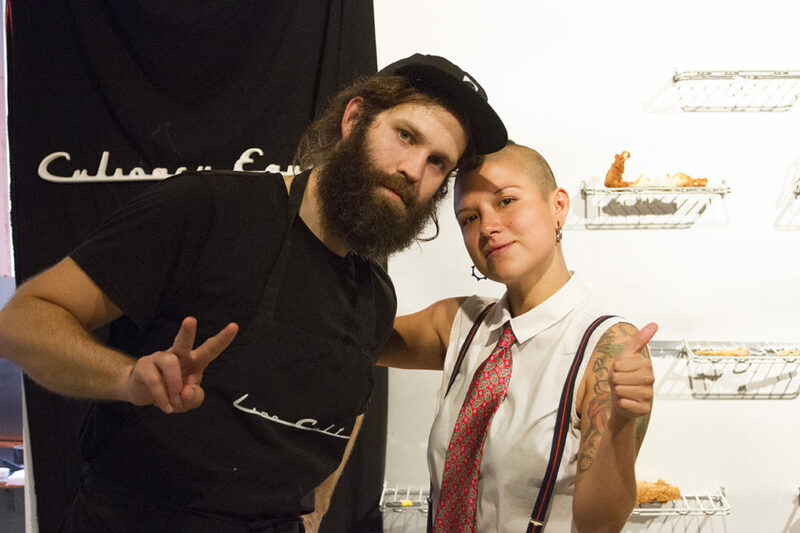 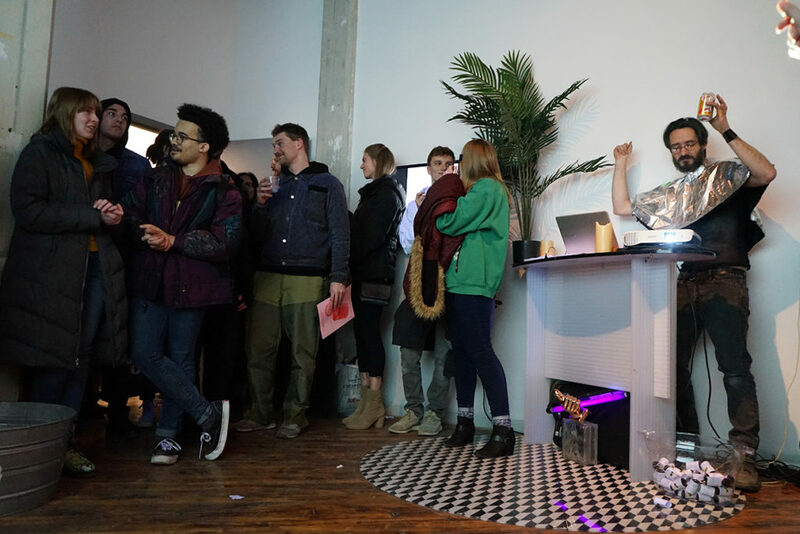 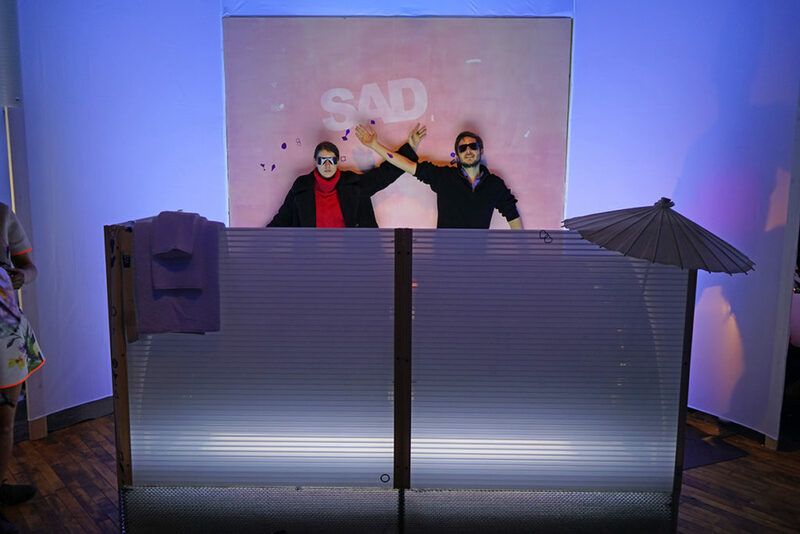 The event program included a champagne brunch, a 12-hr DJ set and audio-scape by DJ Sponsored Lynx (Will Owen), and late-night performances by Eleni Zaharopoulos, Michael O’Malley and Jaimie Warren. 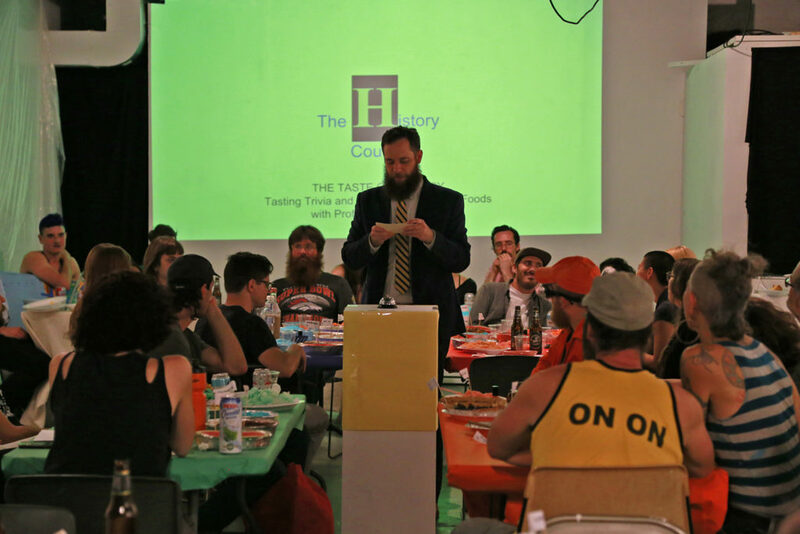 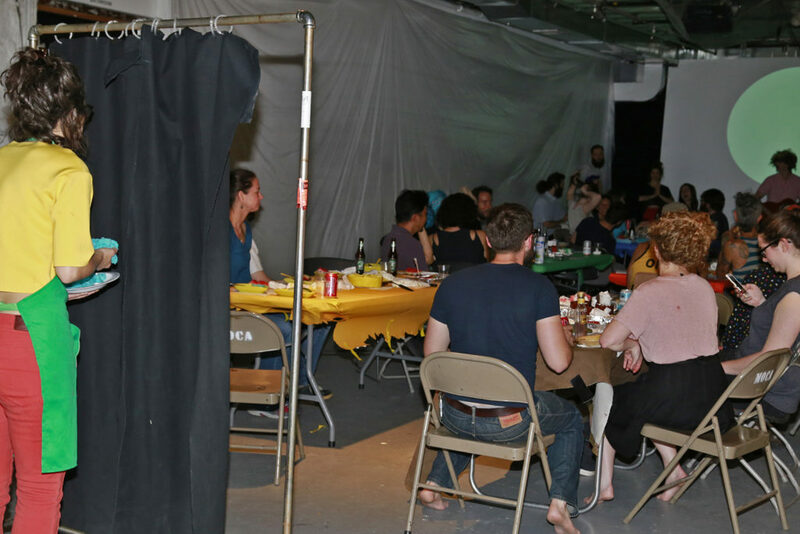 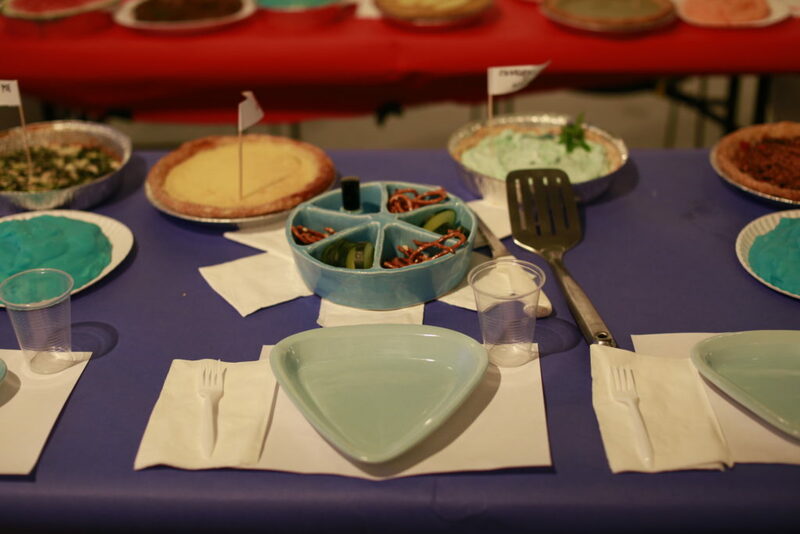 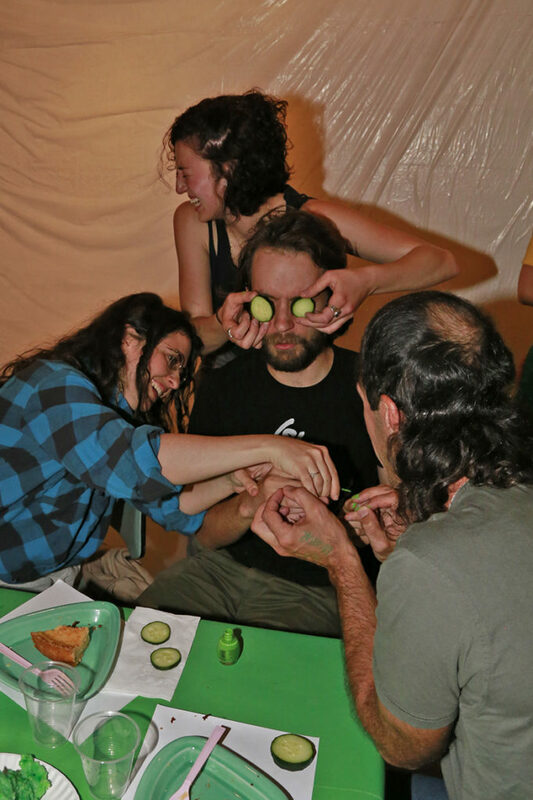 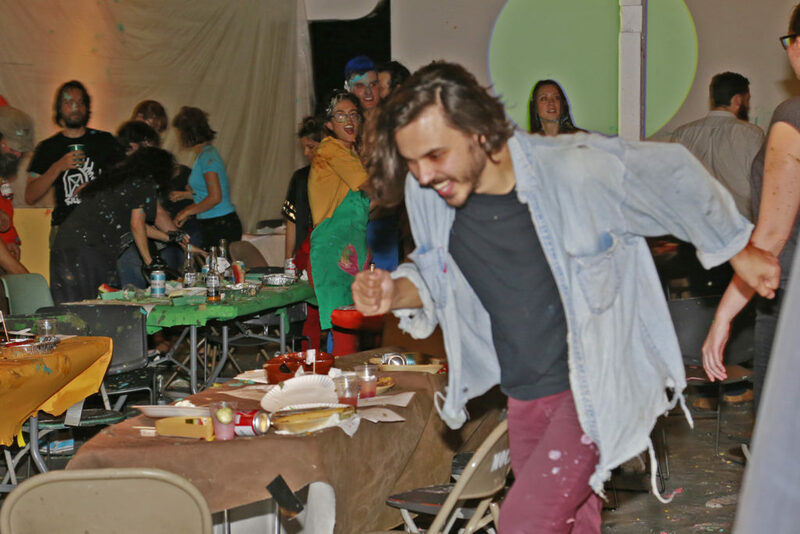 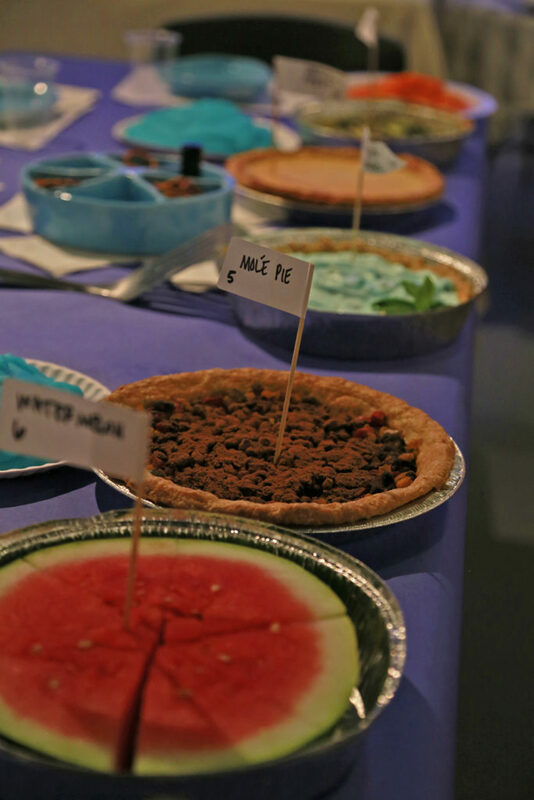 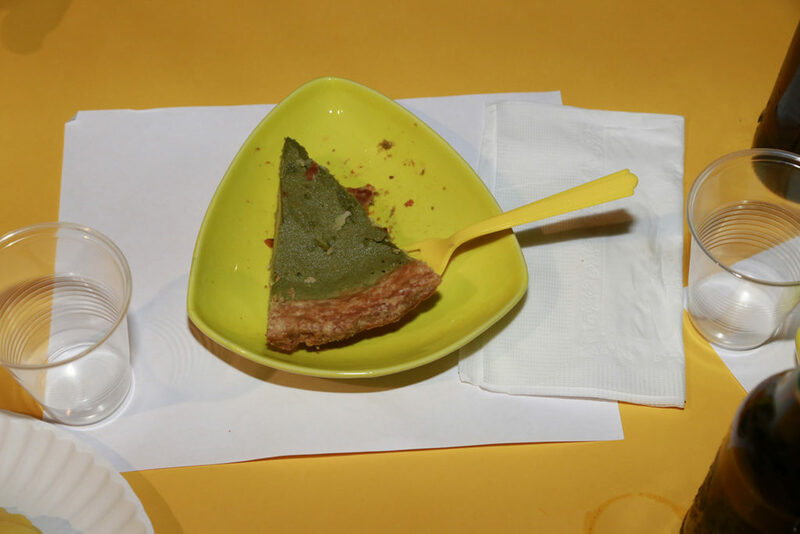 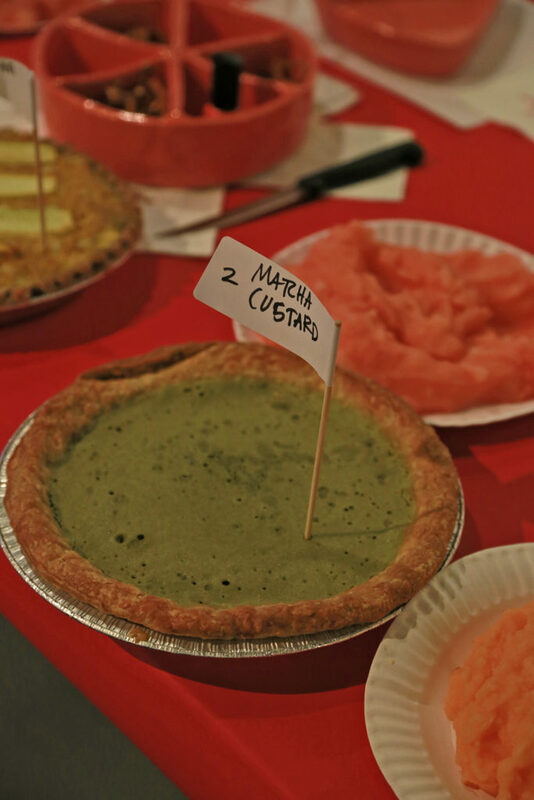 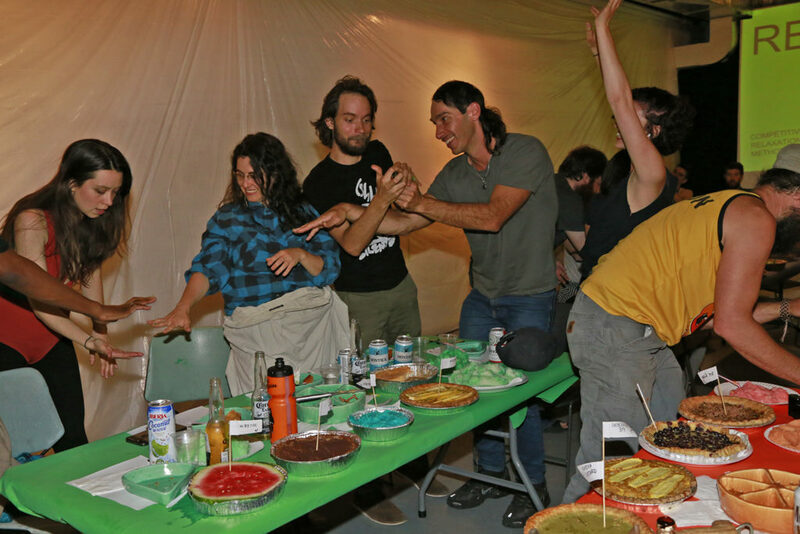 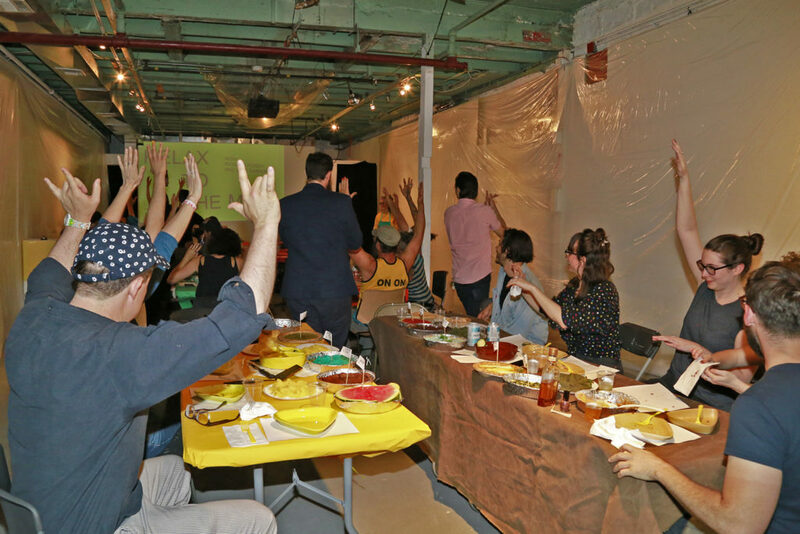 Trivial Pursuits Dinner Party is an interactive performance dinner party serving six courses of pie to color-coded teams of dinner guests. 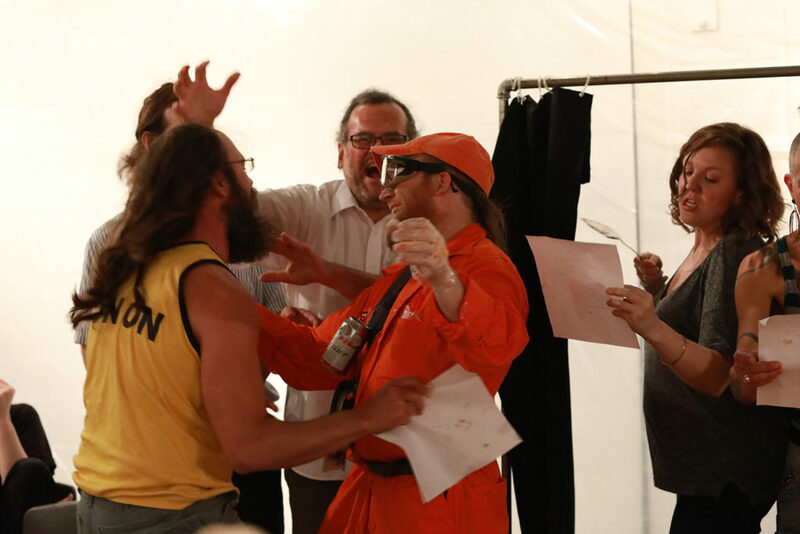 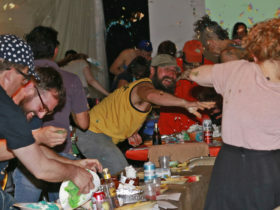 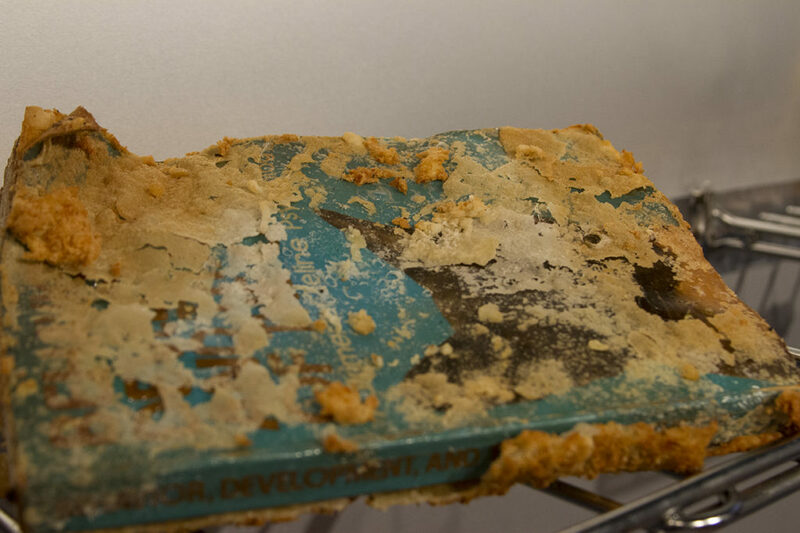 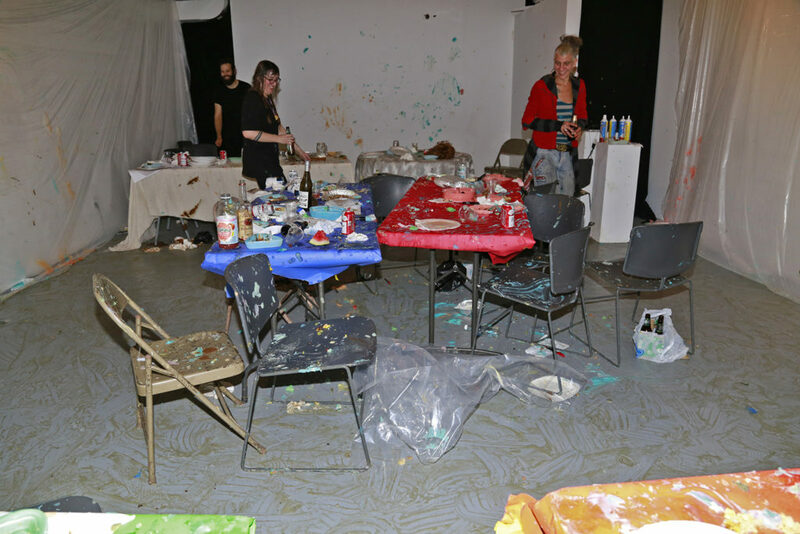 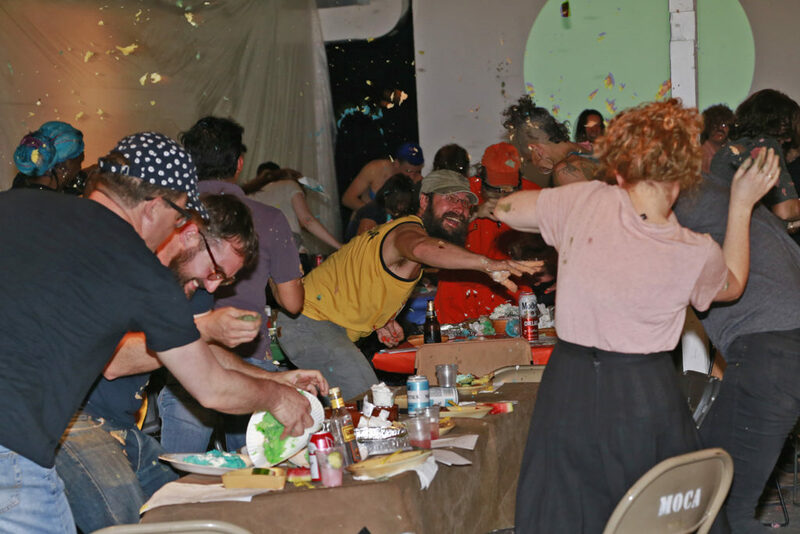 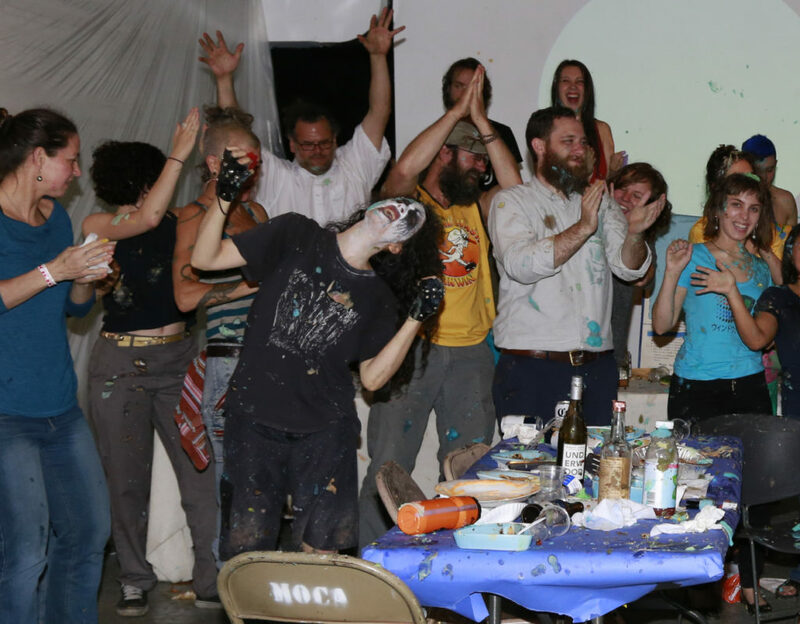 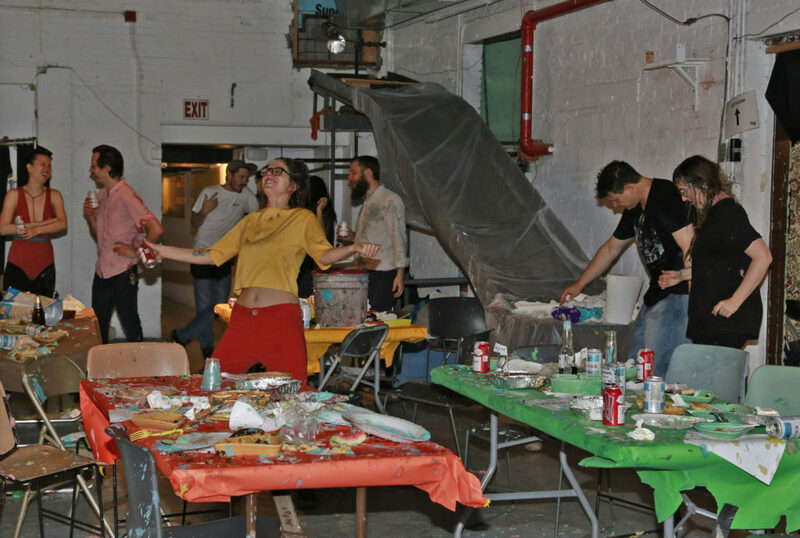 The Classic Edition of Trivial Pursuits Dinner Party culminated in a surprise food fight finale. 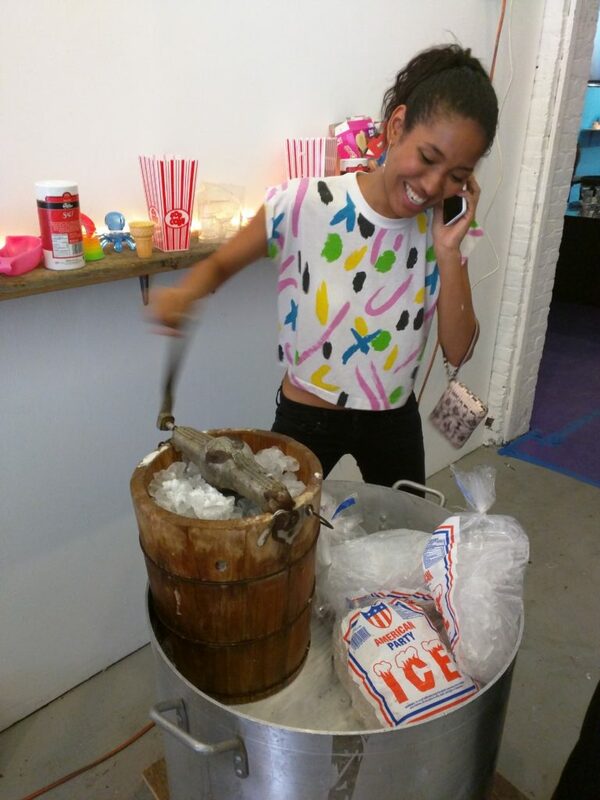 Good Humor,an ice cream extravaganza at Flux Factory included 13 unique hand-cranked ice cream flavors, live churned ice cream, interactive plaster ice cream sculpture making, video installations, a soft serve environment ft. stand-up comedy by NYC comedian Rachel Joan, and a dance party with DJ Fade Sunshine.